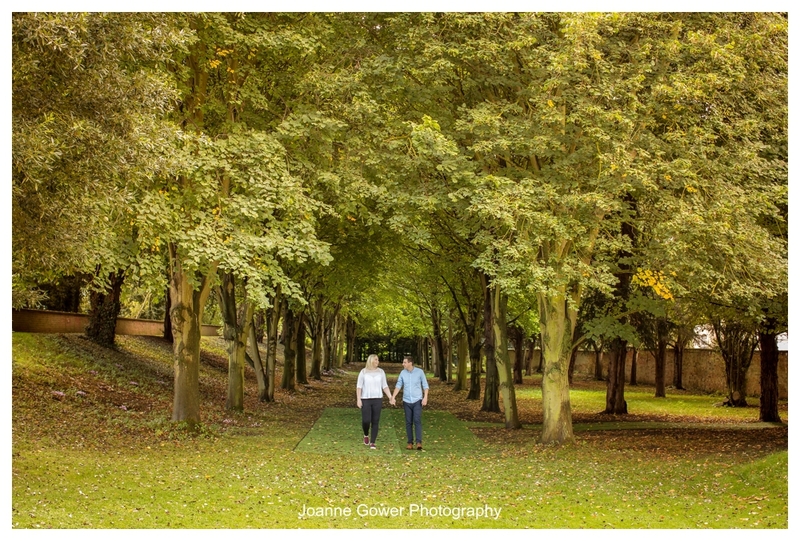 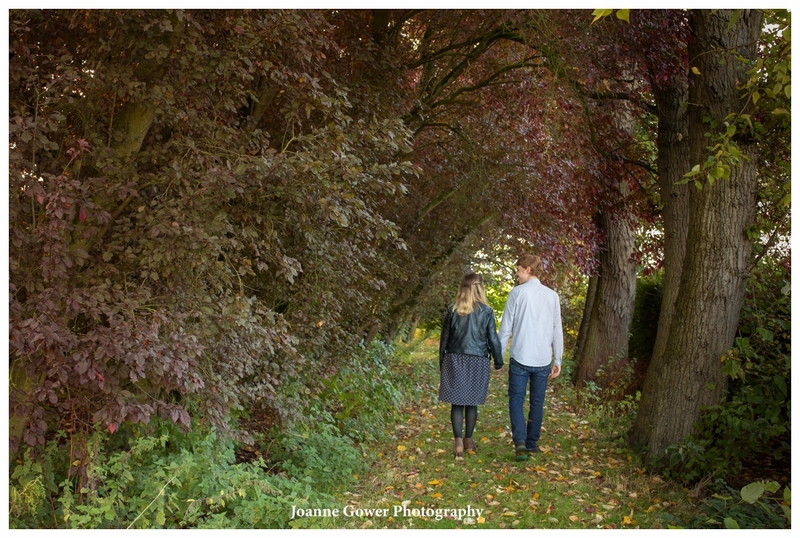 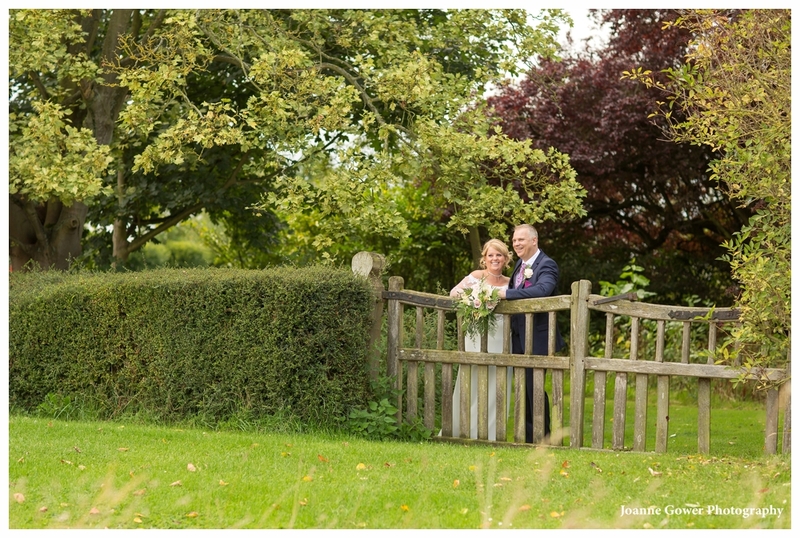 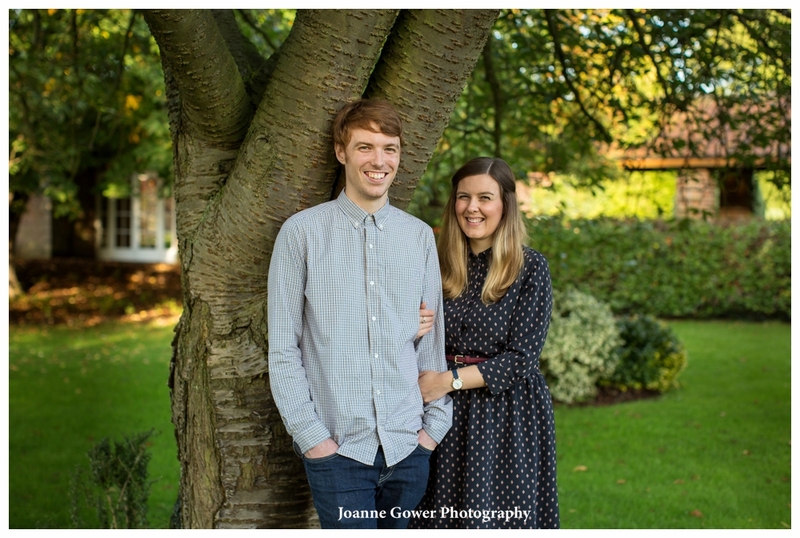 We had a lovely time yesterday doing the pre wedding photography with Hannah and Ben, at Tickton Grange, near Beverley. 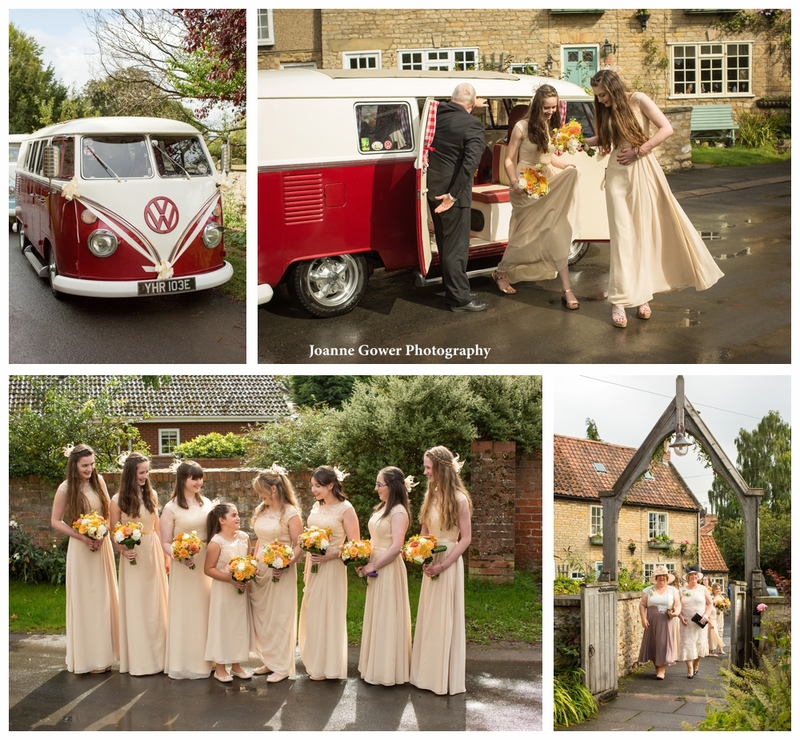 When we arrived, the sun had put in a brief appearance, so we headed straight outside to do the photoshoot. 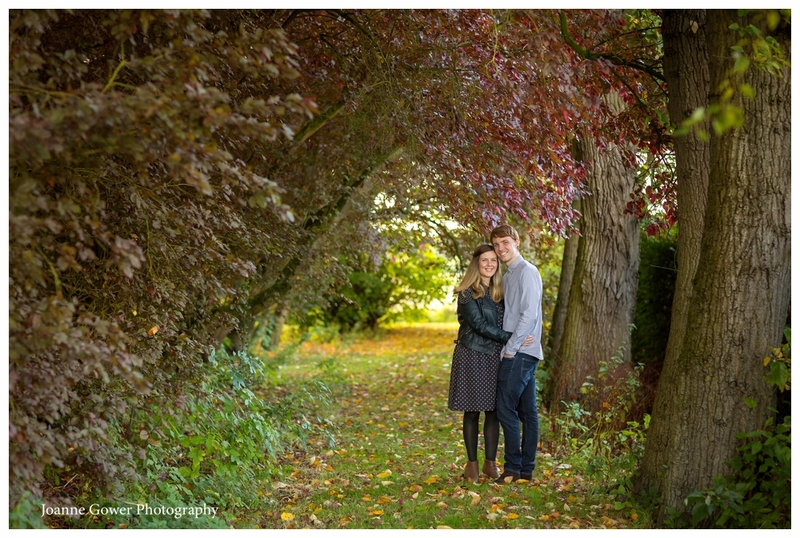 Afterwards, we enjoyed a cup of tea whilst chatting about the arrangements for the wedding. 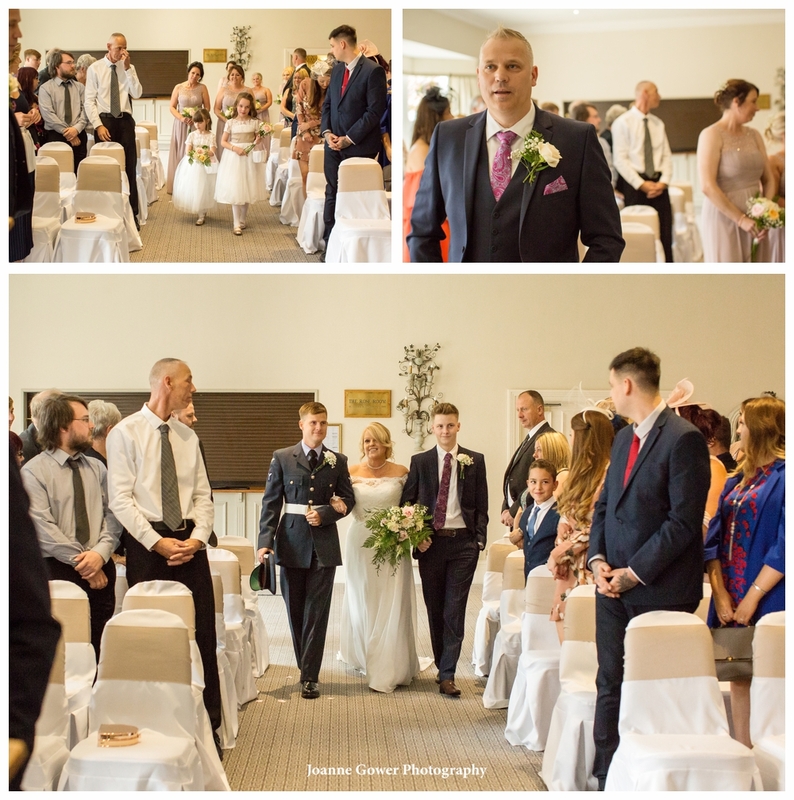 I have know Ben since he was a baby and this wedding is extra special for us as Ben was part of our family for many years, being close buddies with our son Alex whilst they were growing up. 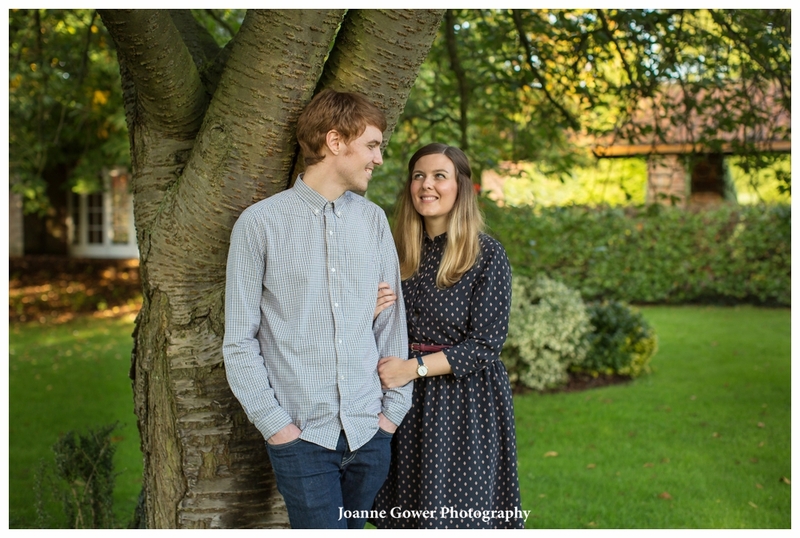 Hannah and Ben are a lovely couple (and I am biased!). 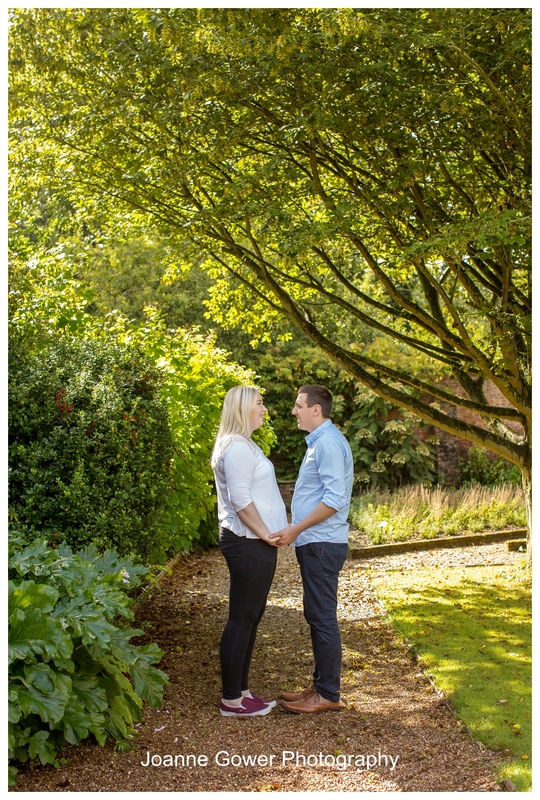 We are so looking forward to their extra special day! 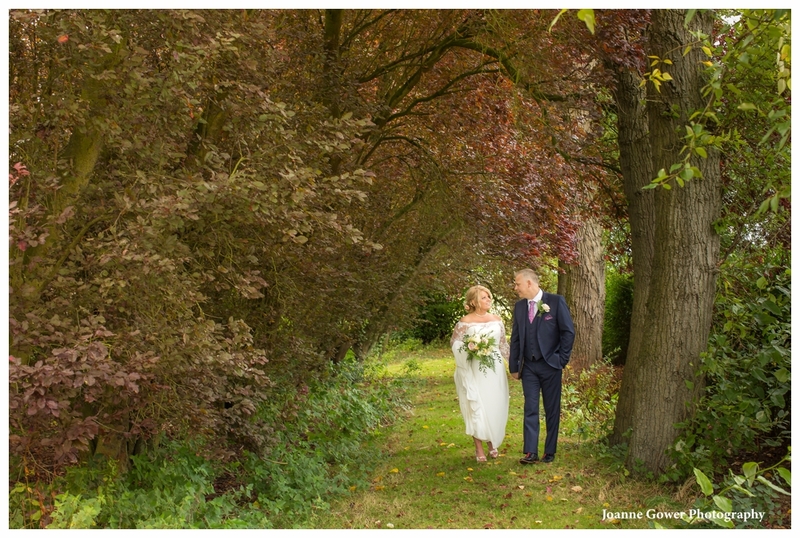 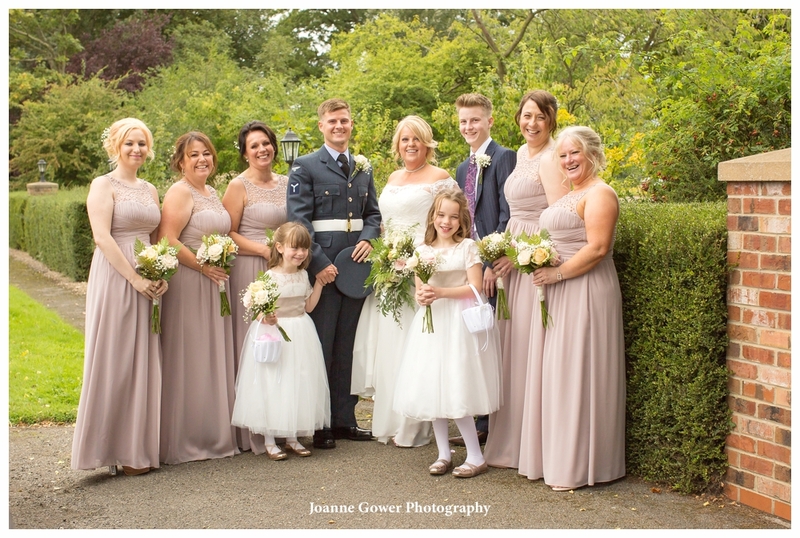 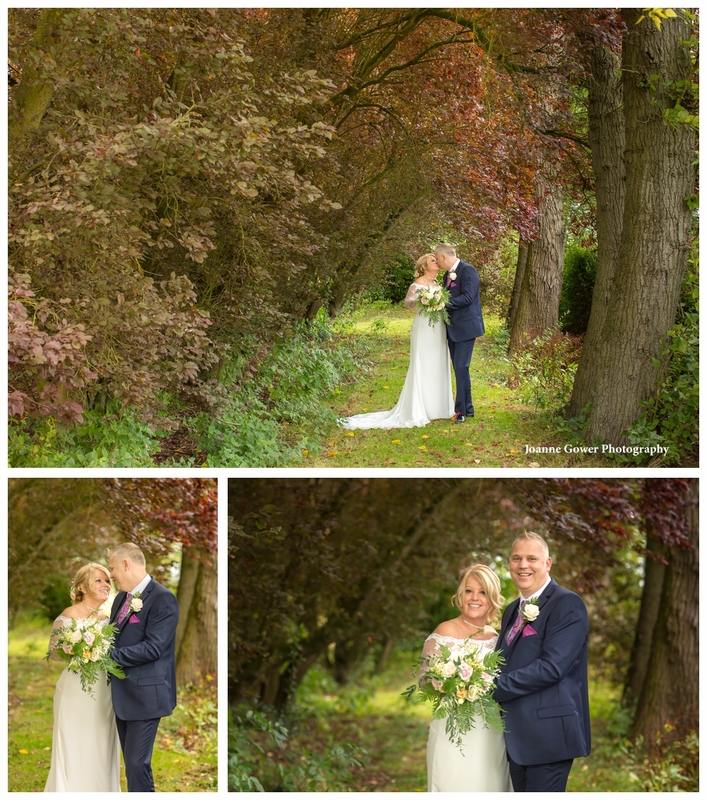 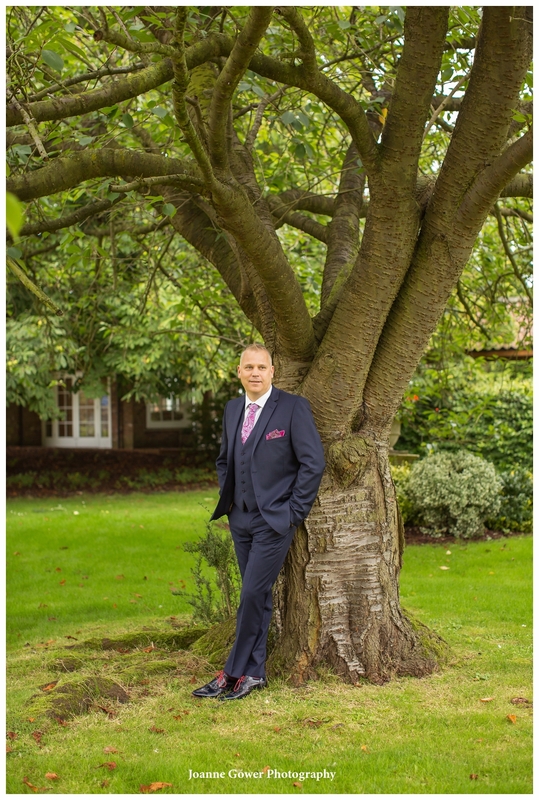 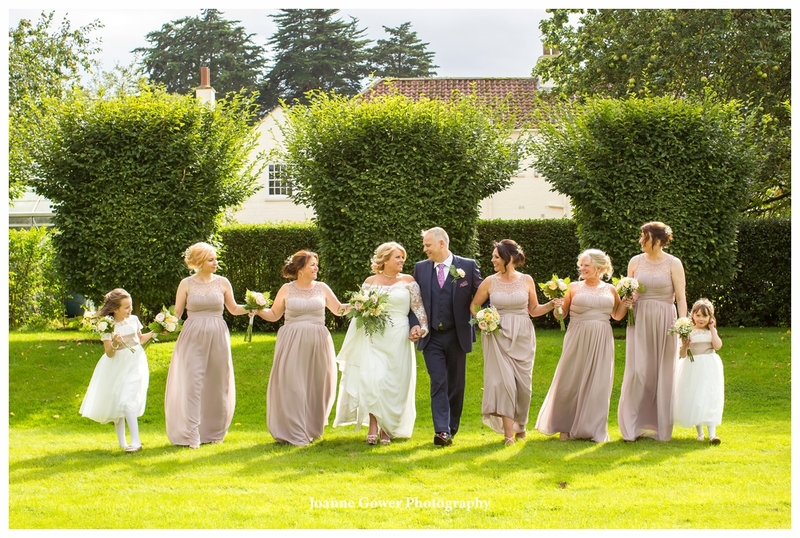 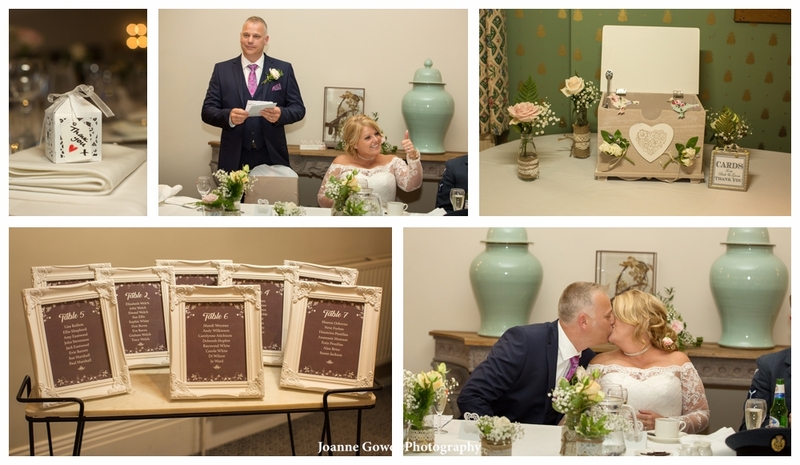 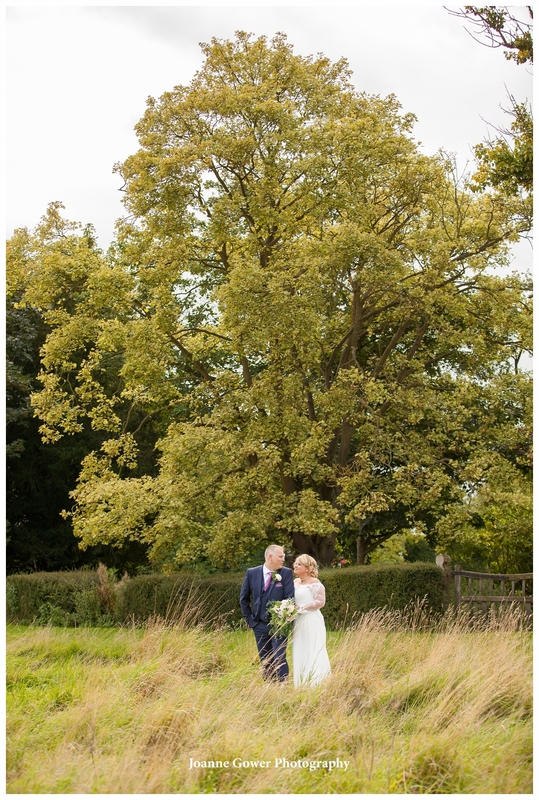 I am delighted to share the preview wedding photography for Alison and Jason, who were married on Sunday, at Tickton Grange, near Beverley, East Yorkshire. 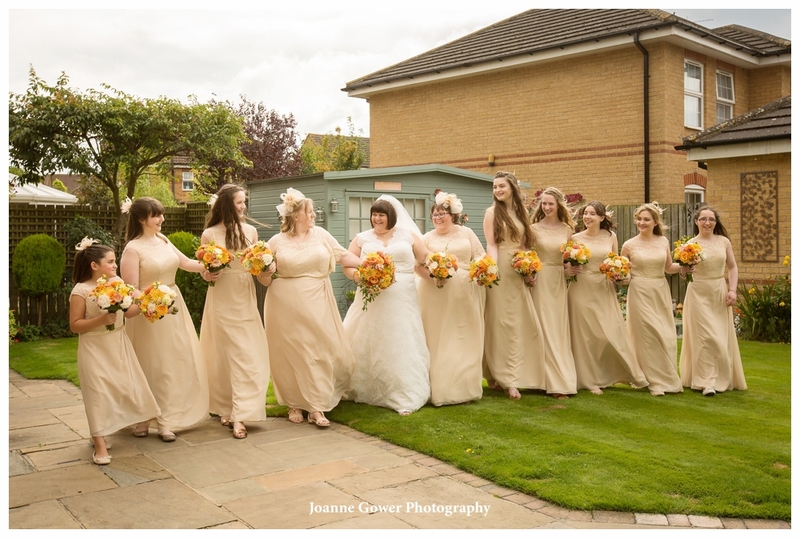 We started the day at the brides house and Alison was busy getting ready with bridesmaids Andrea, Sarah, Amelia, Carolyne, Mandi, Sinead and Neve. 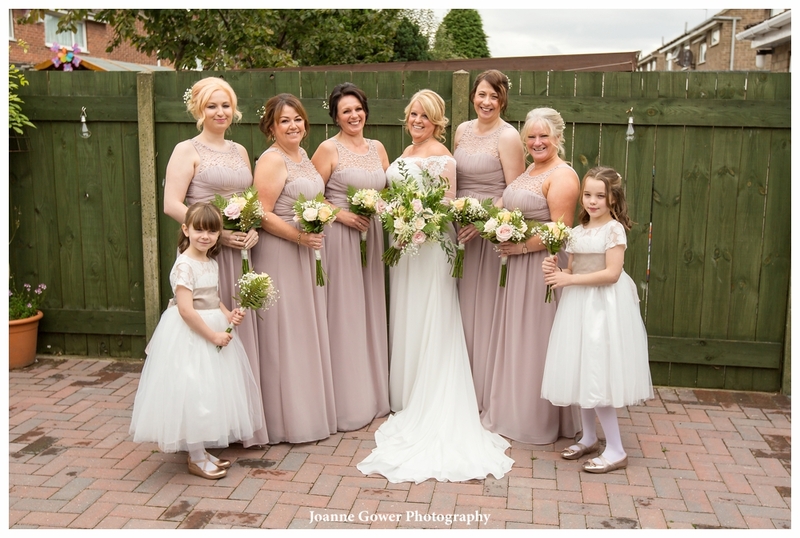 The girls looked lovely in their pale pink dresses and chatted happily whilst attending to the finishing touches. 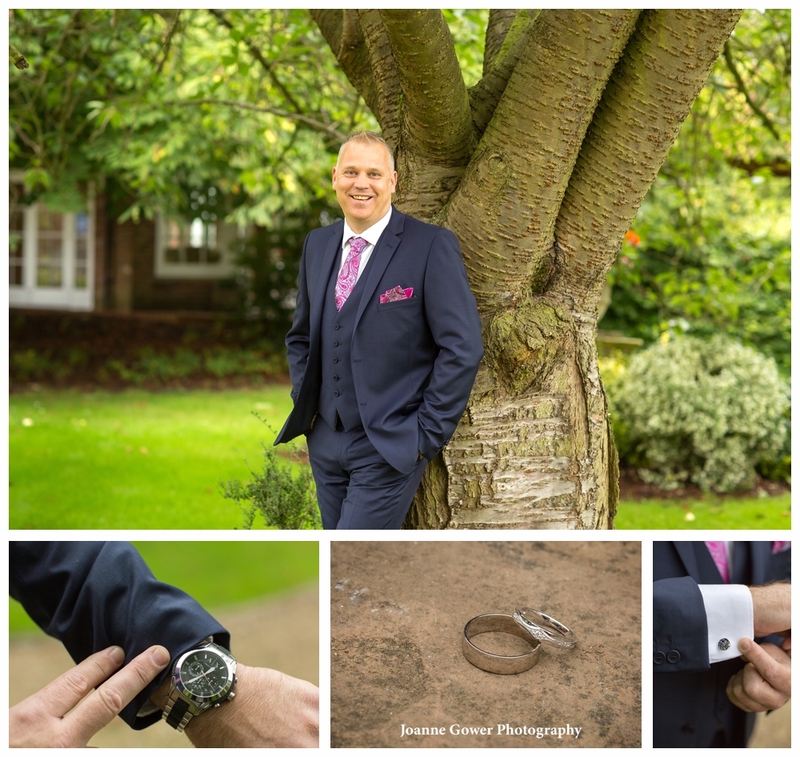 After some quick portraits of the bride, we headed out to Tickton Grange to meet up with Jason of do some quick photographs of him outside before he headed in to see the registrar. 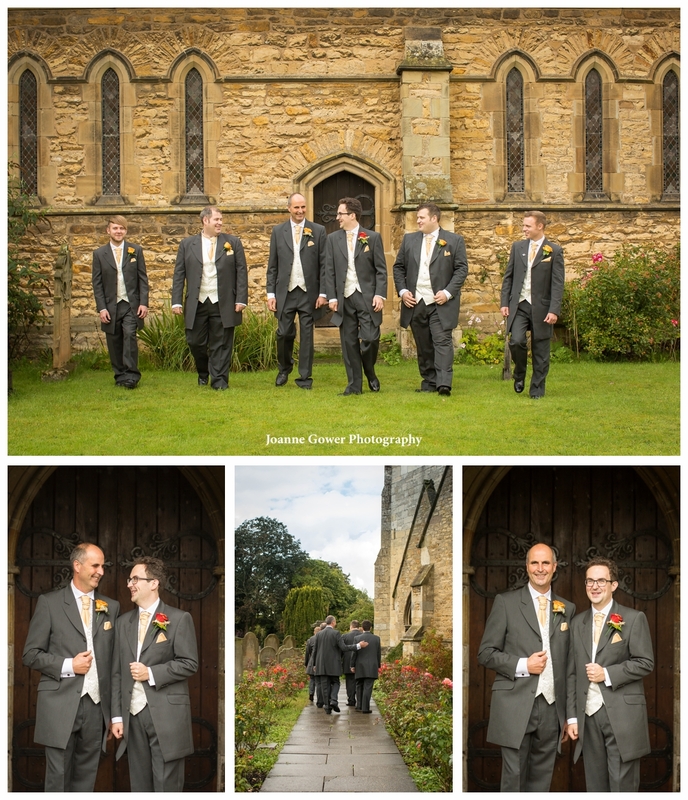 Before long the bride arrived with her sons Adam and Nathan and the service was underway. 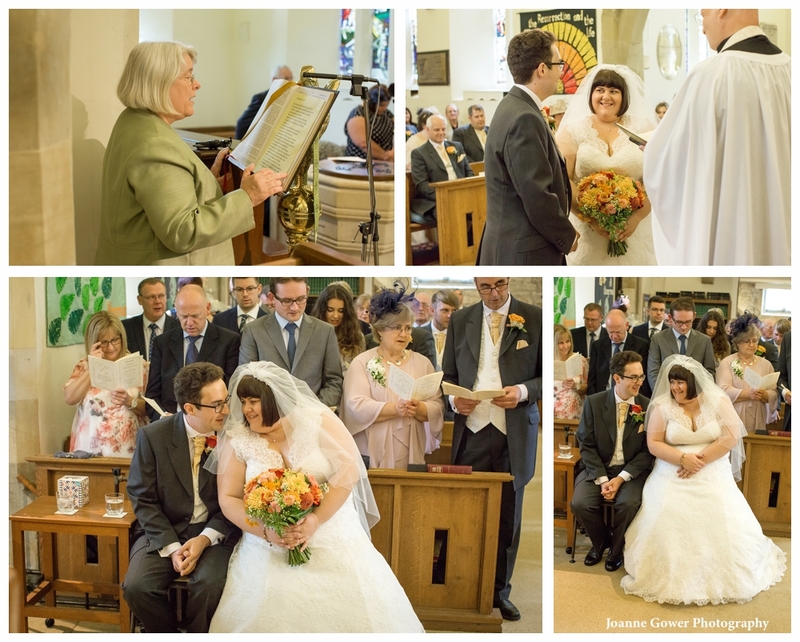 Sister in law Tracy delivered the lovely reading and the happy couple signed the register, before the traditional aisle procession. 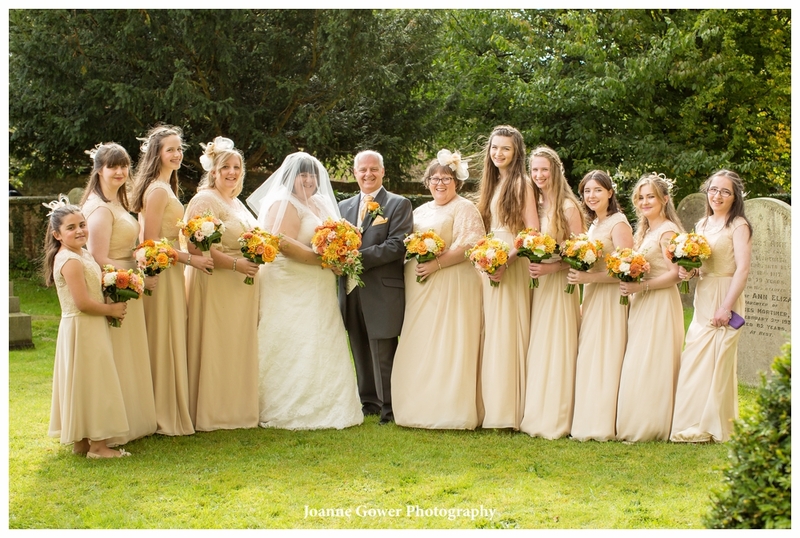 There was a brief downpour which interrupted the group photographs so the bridal party dashed inside to take shelter. 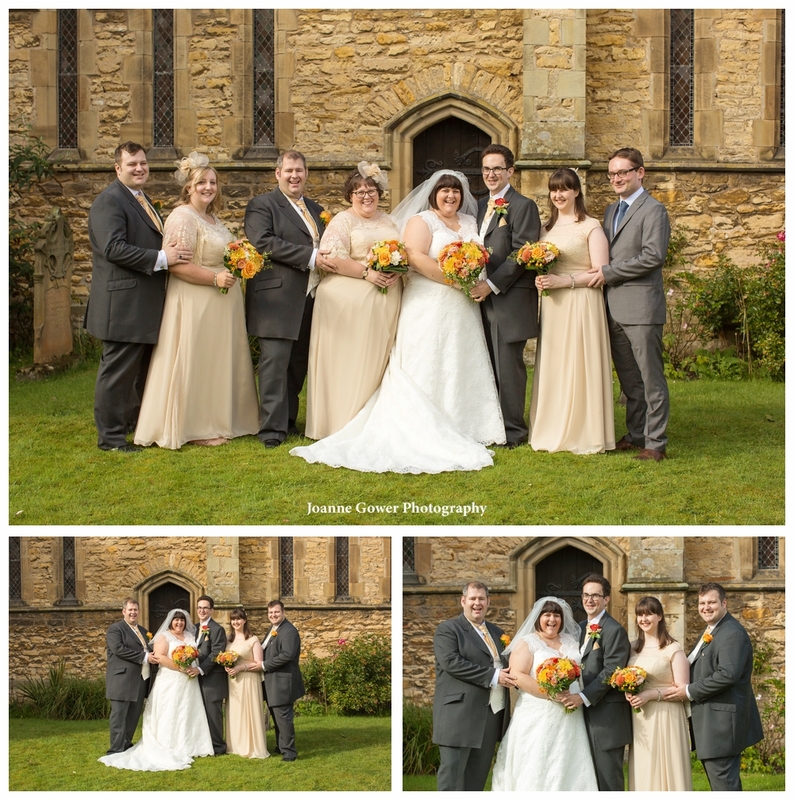 Celebratory drinks followed, before we were able to go back outside to complete the photographs. 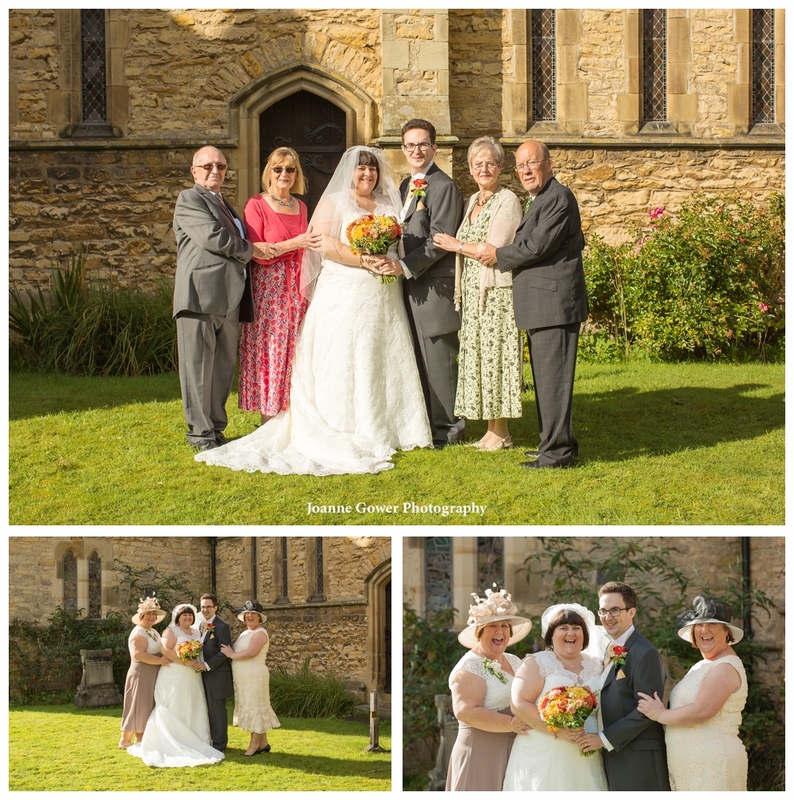 Portraits of the happy couple followed, before everyone went inside for the wedding breakfast. 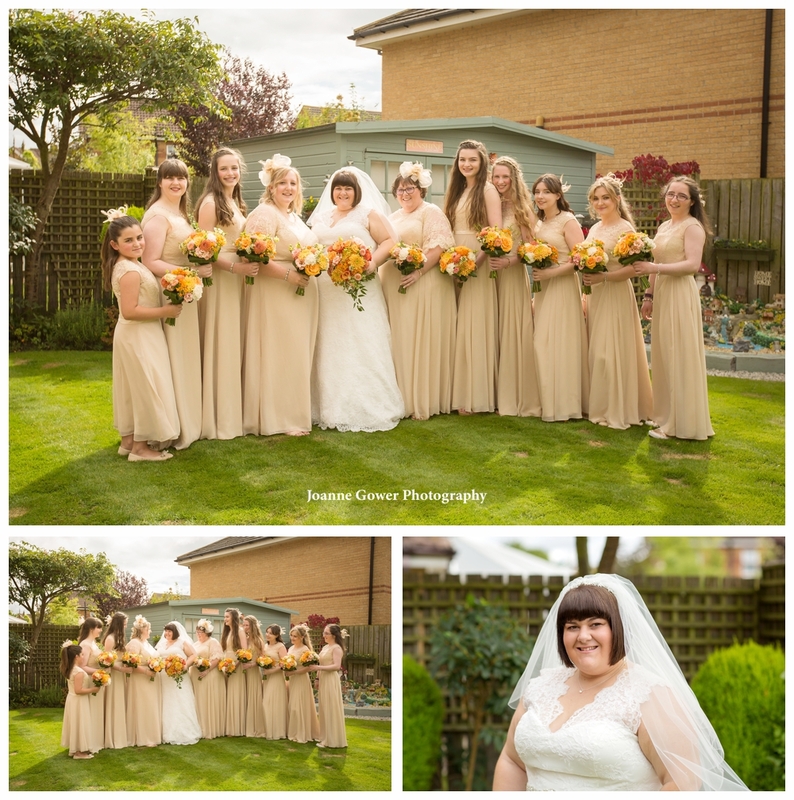 The bridesmaids made a speech before family and friends toasted the health and happiness of the couple. 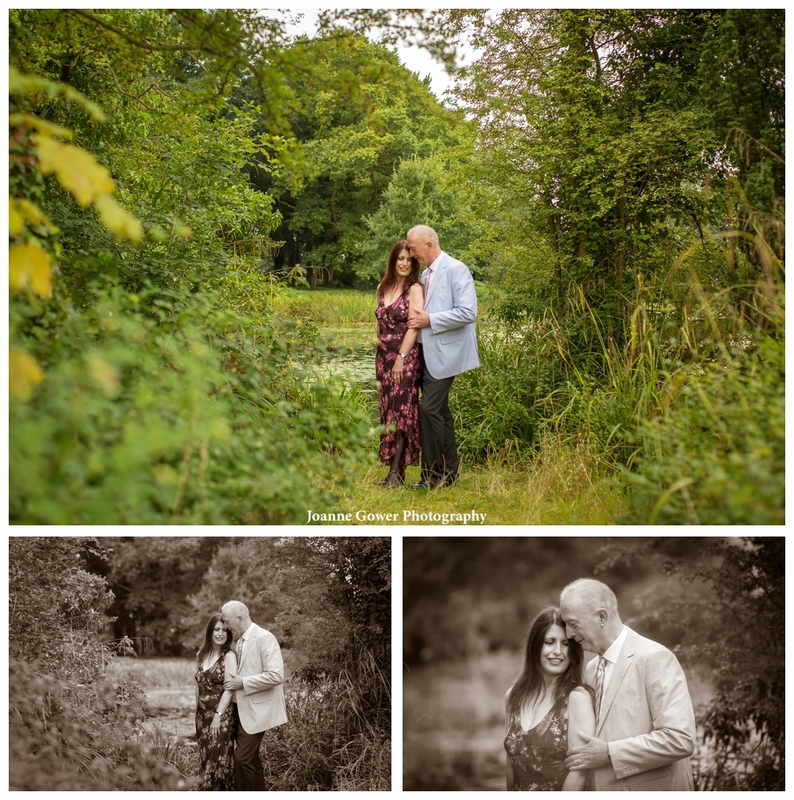 We had an amazing day with Alison and Jason and are very much looking forward to sharing the rest of their wedding photography with them. 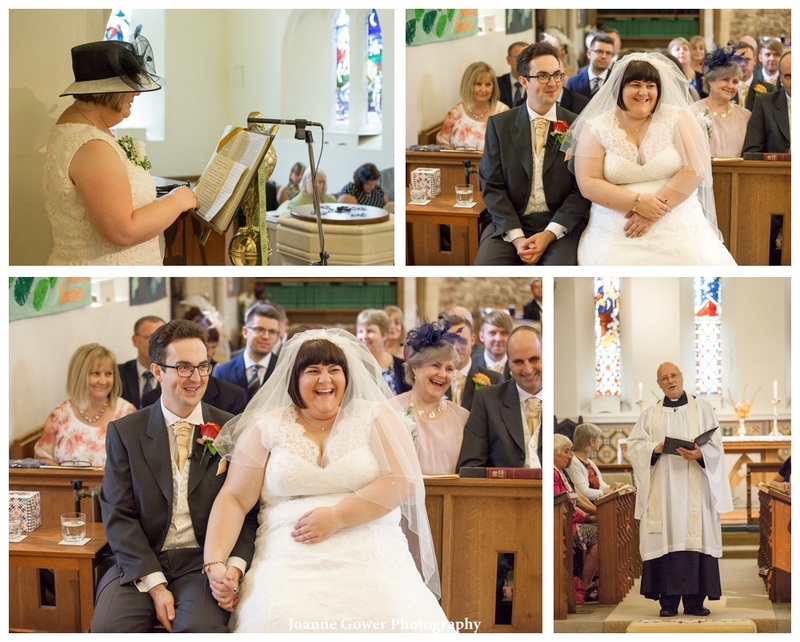 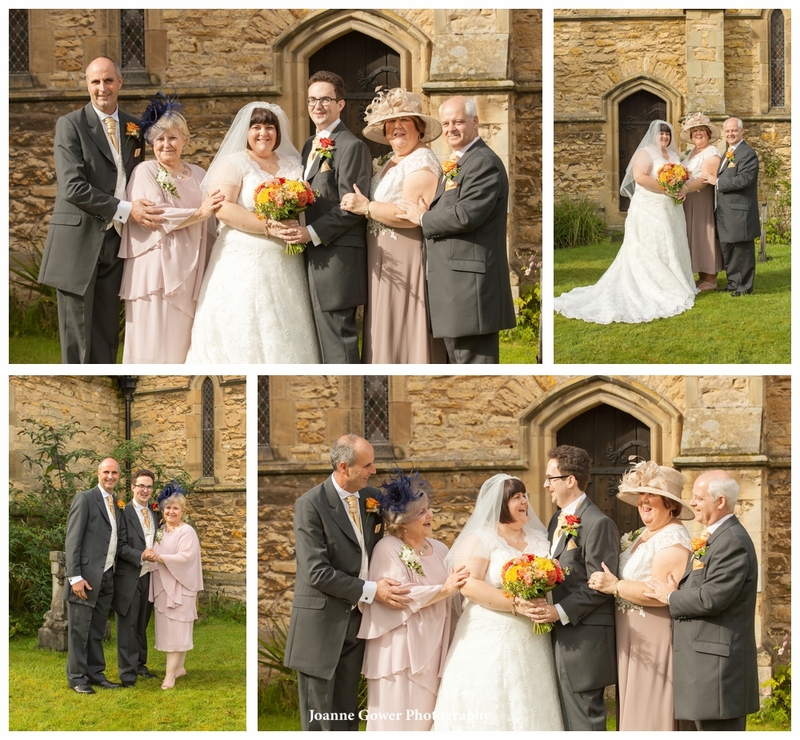 Congratulations to Rebecca and Matthew who were married on Saturday, at Mary’s Church, in Elloughton. 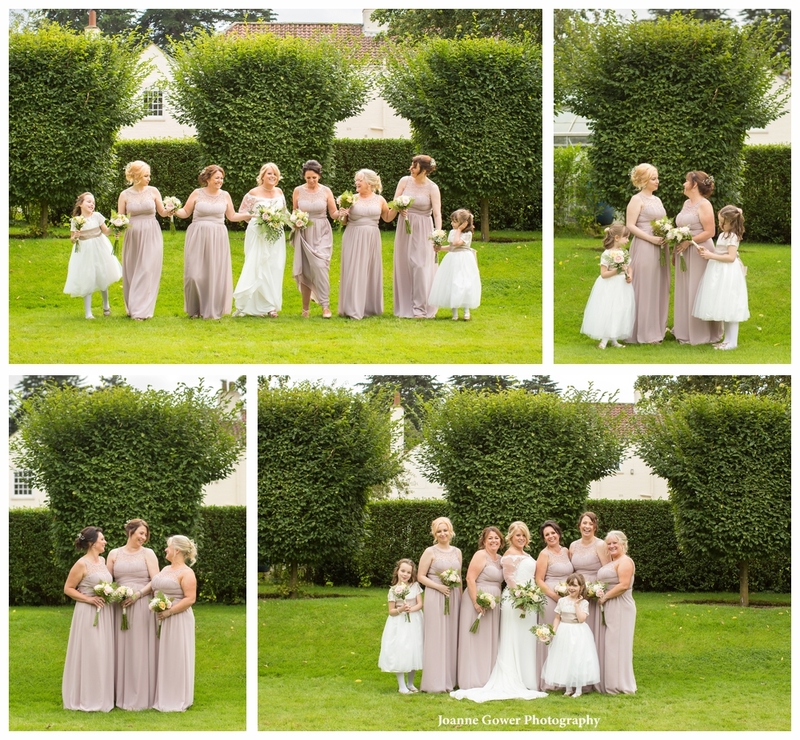 We started the day with Rebecca and her ten bridesmaids, at her parents house. 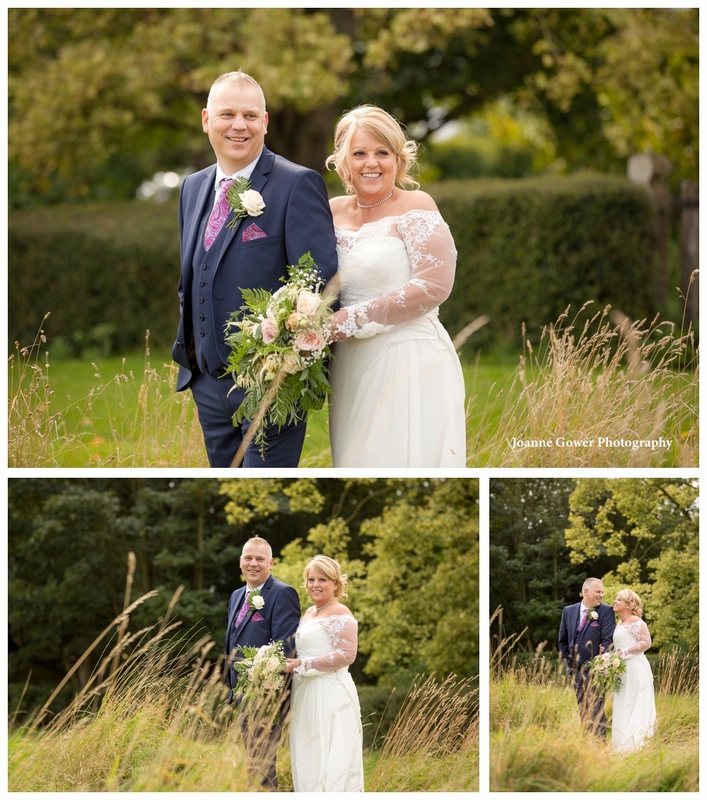 After photographing the all important details, we headed out into the garden to get some quick photographs of the bride, before we left to meet Matthew at the church. 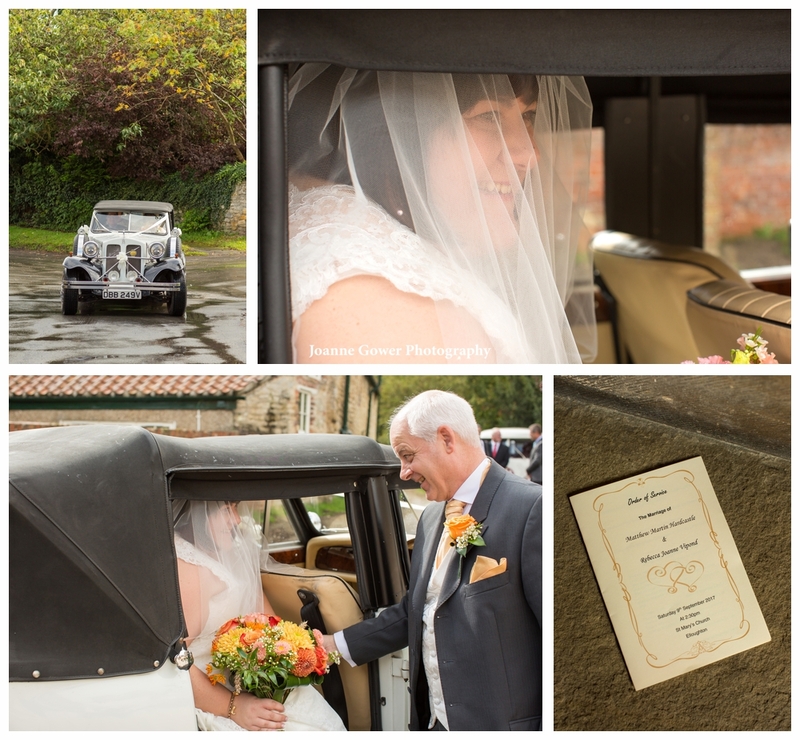 Unfortunately there was a heavy shower just as we arrived at church. 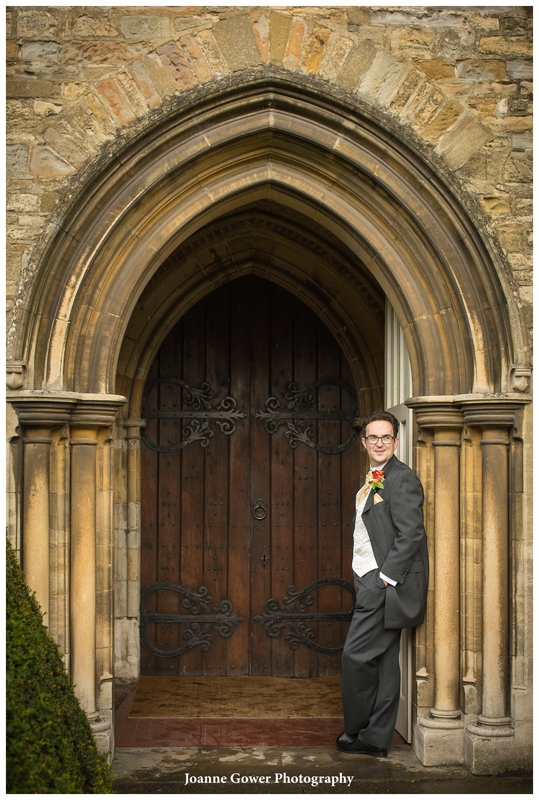 Fortunately we were able to stand Matthew and his dad Martin, who was also best man, the doorway of the church whilst we braved the elements to get the shot. 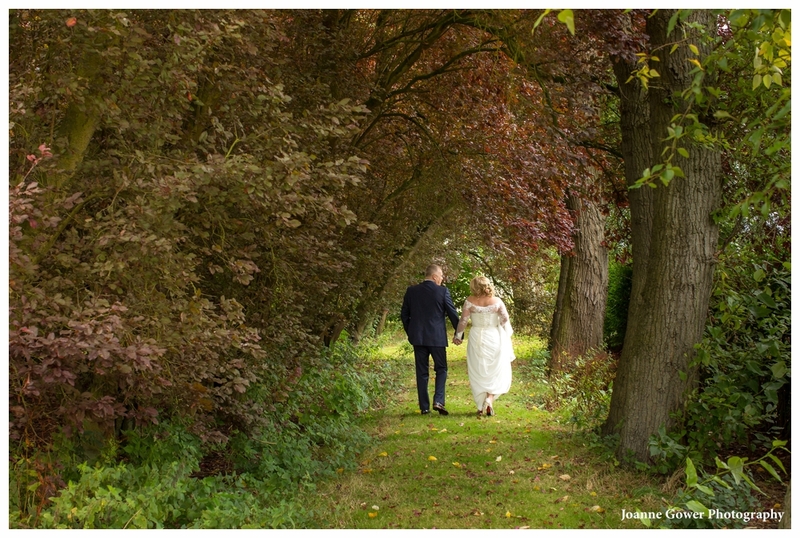 Before long, the rain stopped and the guests started to arrive. 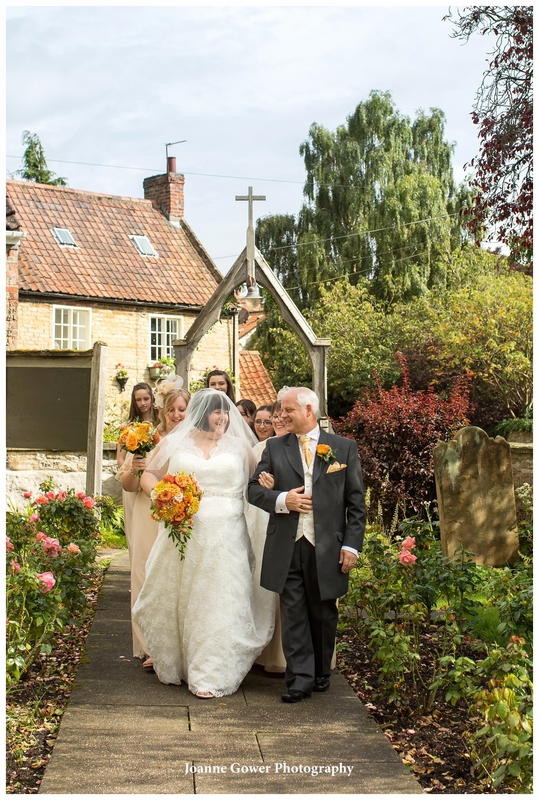 As the bride arrived the sun came and we were were able to get some photographs of her with her father before they headed inside. 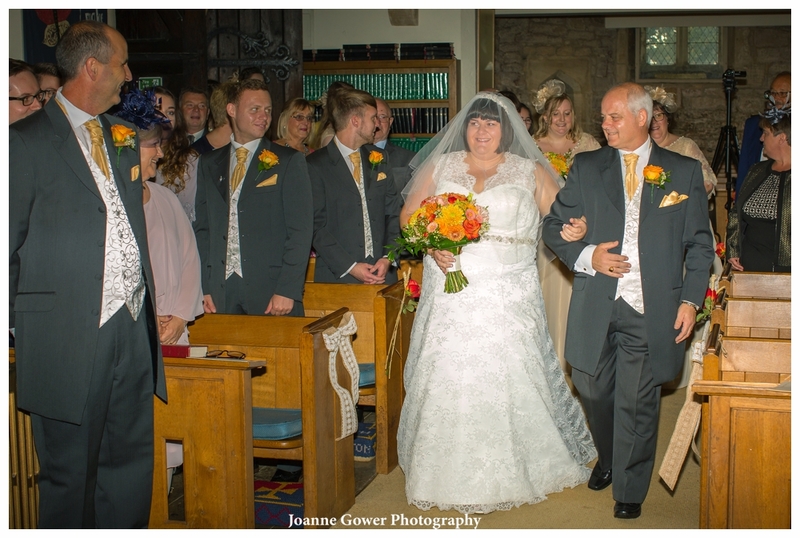 The service was conducted by the brides uncle Paul and following the ceremony, the choir sang three songs starting with ‘from this Moment’. 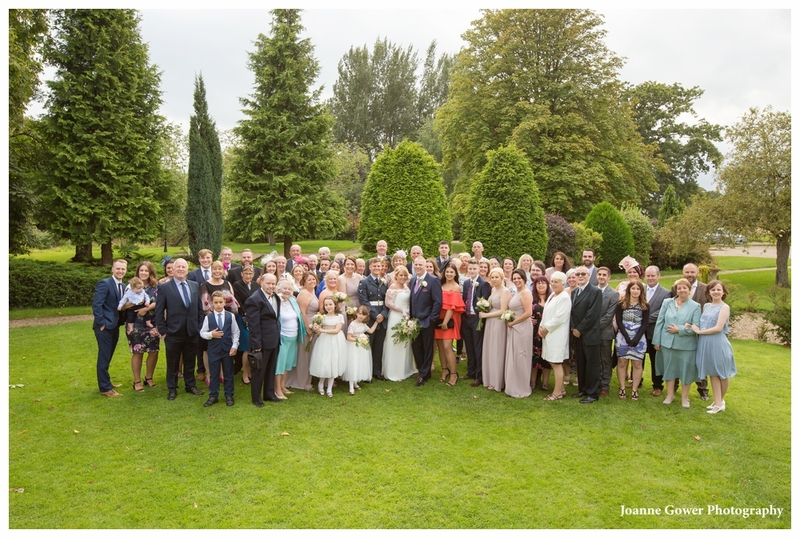 Afterwards we headed outside for the all important family photos. 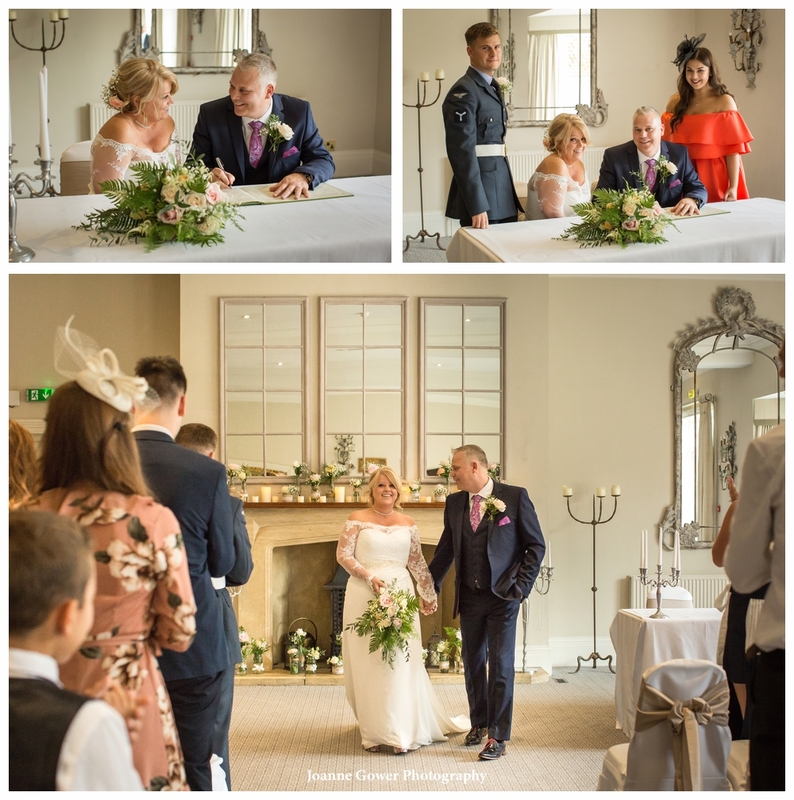 Unfortunately, time was in very short supply, as the couple had to be at Lazaat for the wedding breakfast within the hour, so we had to work super quick to get everything done. 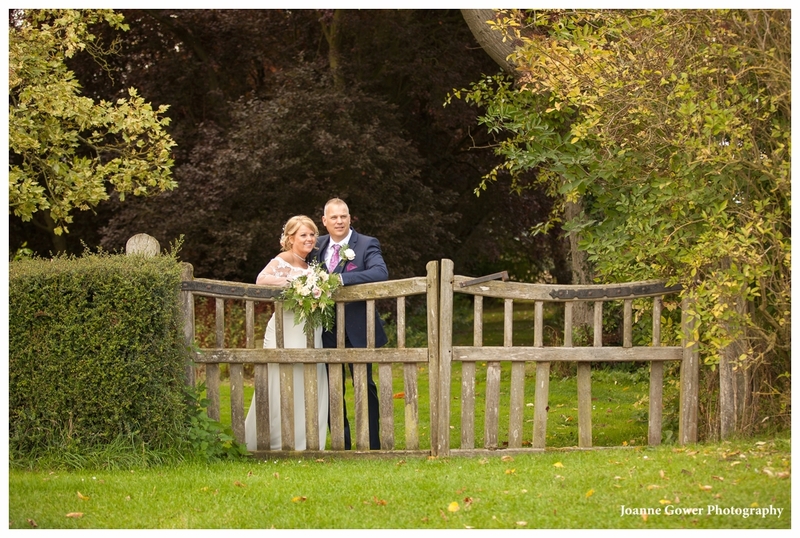 We had a lovely day with Rebecca and Matthew and wish them every happiness in their future life together. 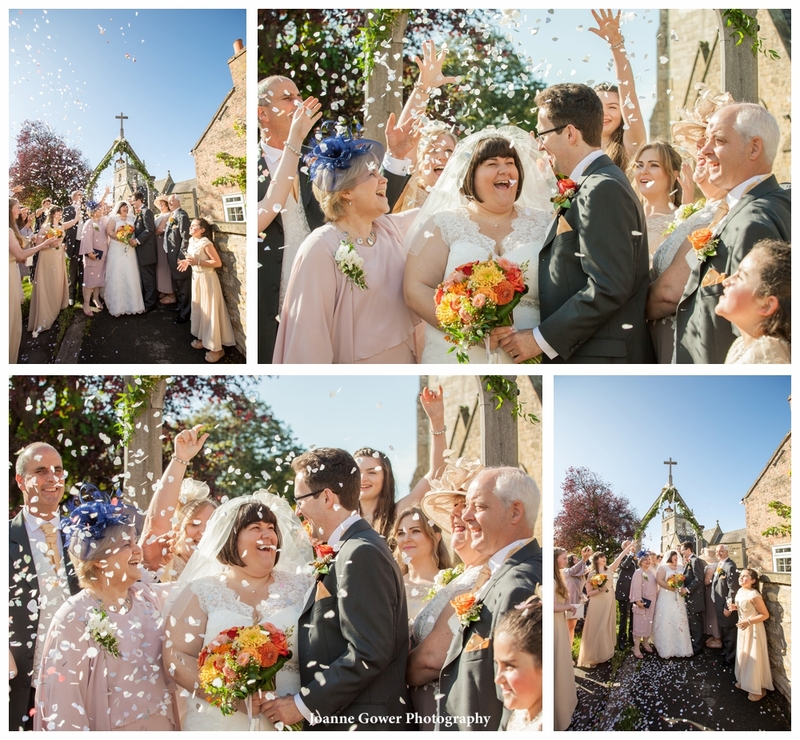 We undertake wedding photography across Yorkshire and Lincolnshire, but are willing to travel to any destination for your wedding. 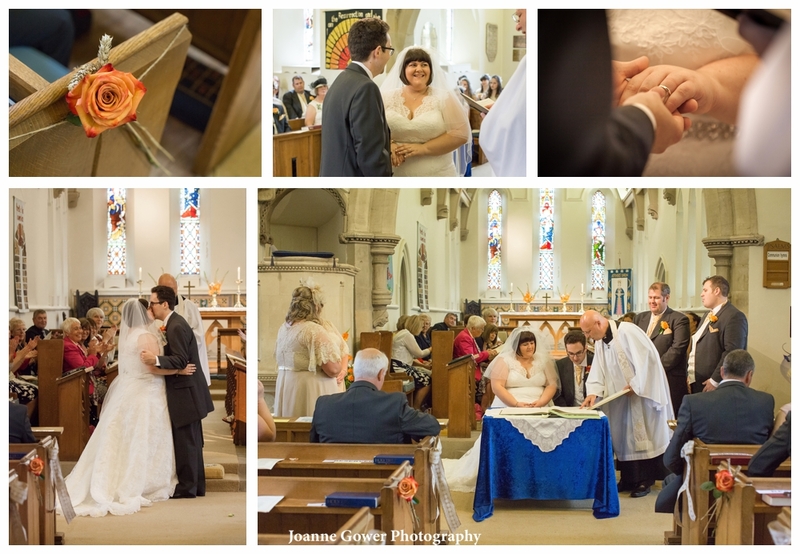 Get in touch if you are looking for a wedding photographer! 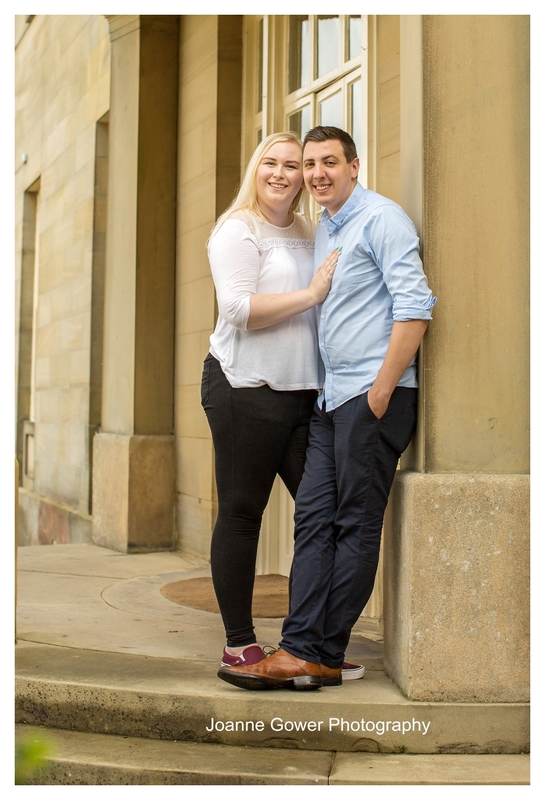 We had a lovely afternoon with Joanne and Neil yesterday going over the arrangements for their wedding in October. 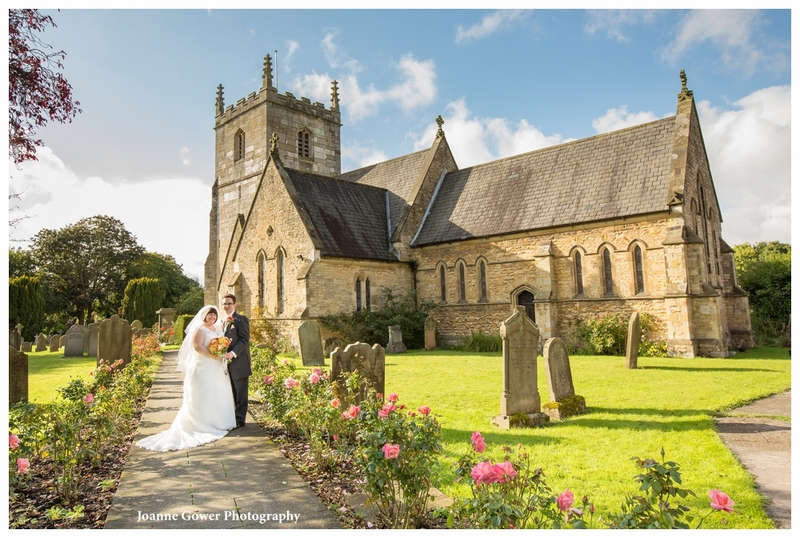 The couple will tie the knot at All Saints Church, South Cave and will hold their wedding breakfast at Cave Castle Hotel. 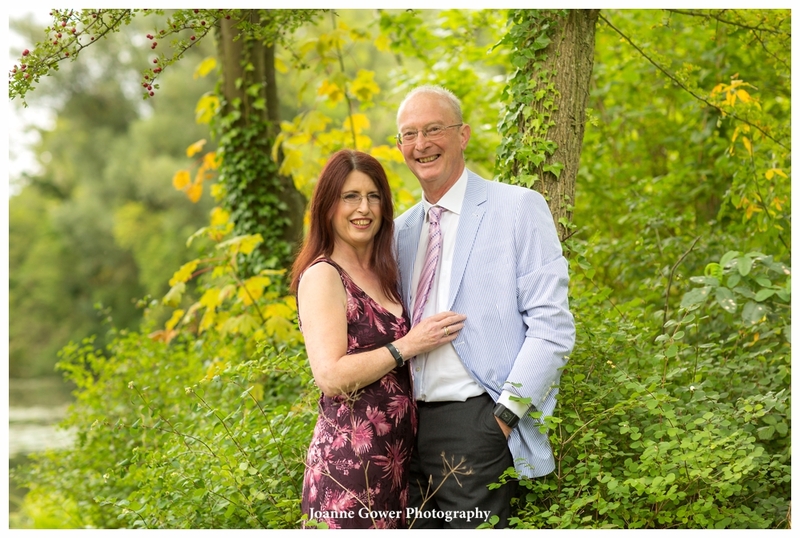 After the chat, we headed outside for a walk around the lovely grounds at the Castle, during which, we took some photos of Joanne and Neil. 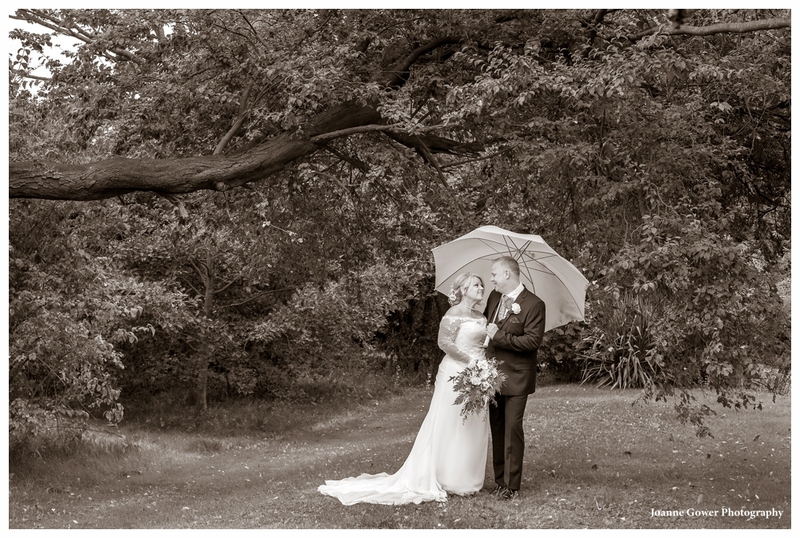 Luckily the rain held off for our shoot but it was a little dark and overcast. 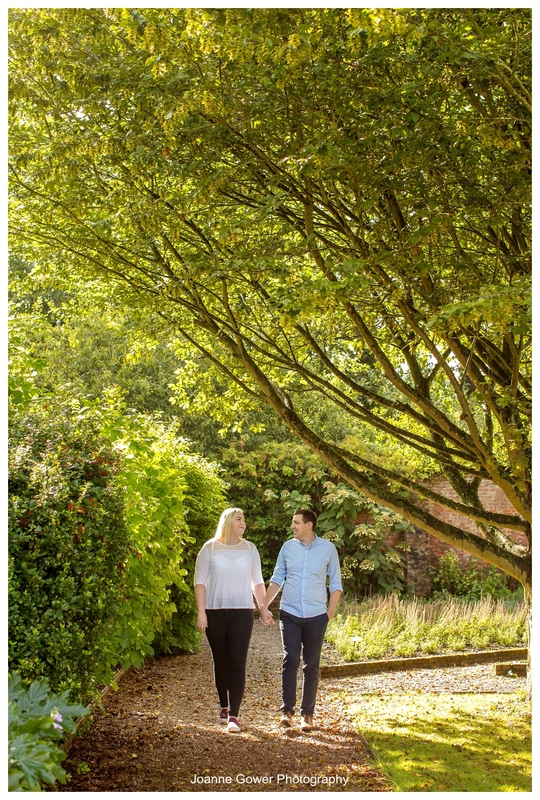 Our pre wedding photo shoot is a great way for the couple to get to know how we work, and ensures that they get the most out of their wedding photography on the big day, as well as giving us a chance to really understand what our couple is wanting from their wedding photography. 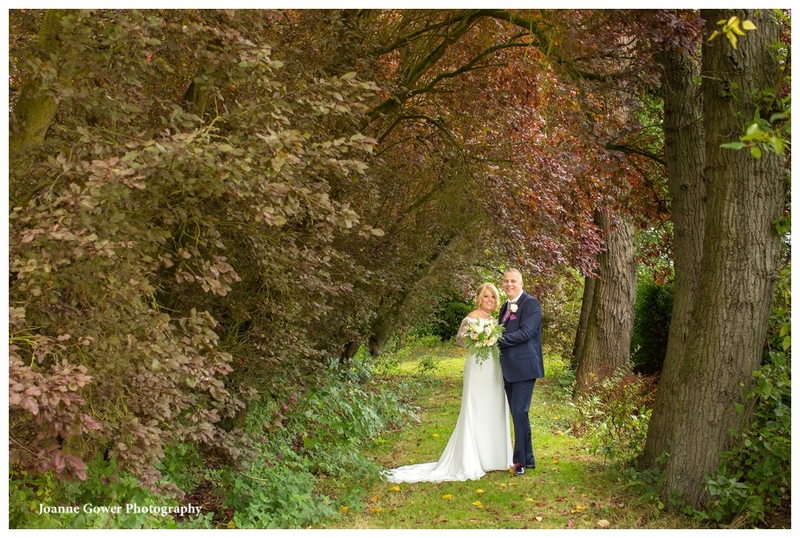 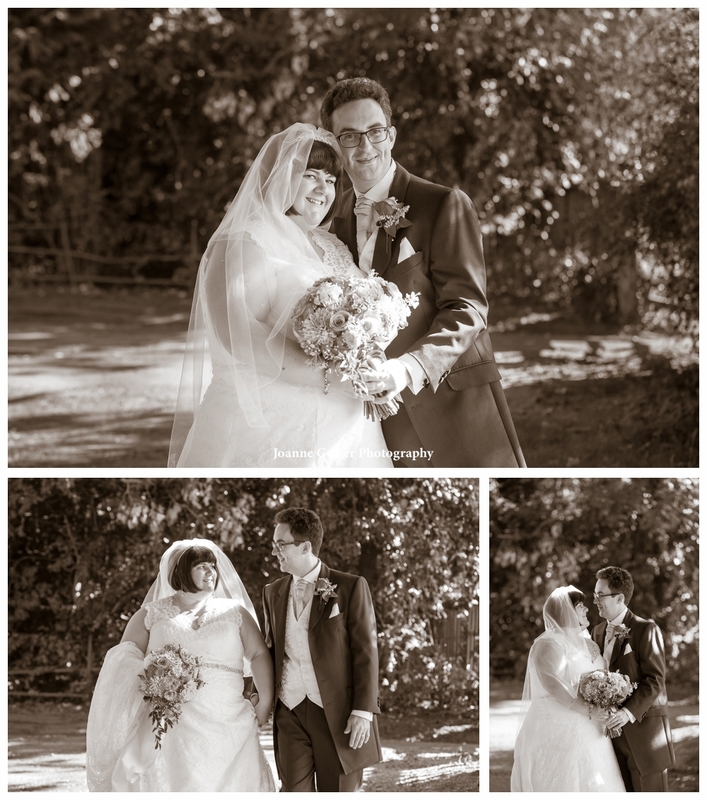 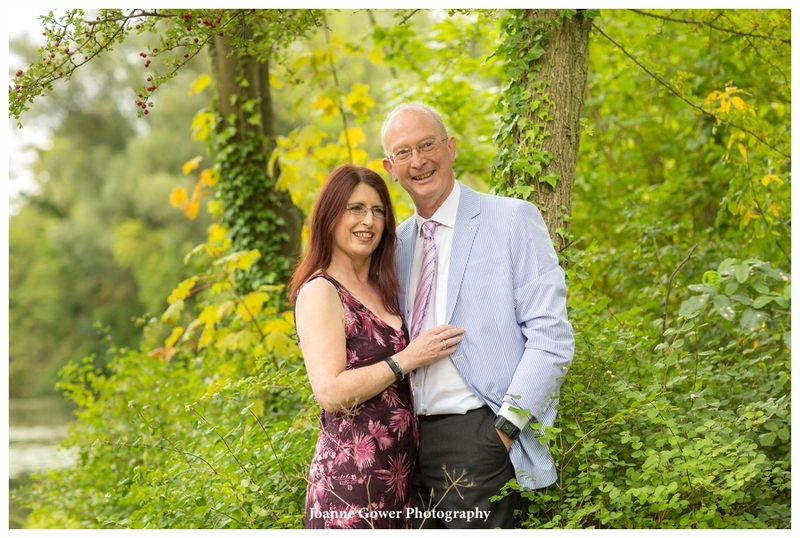 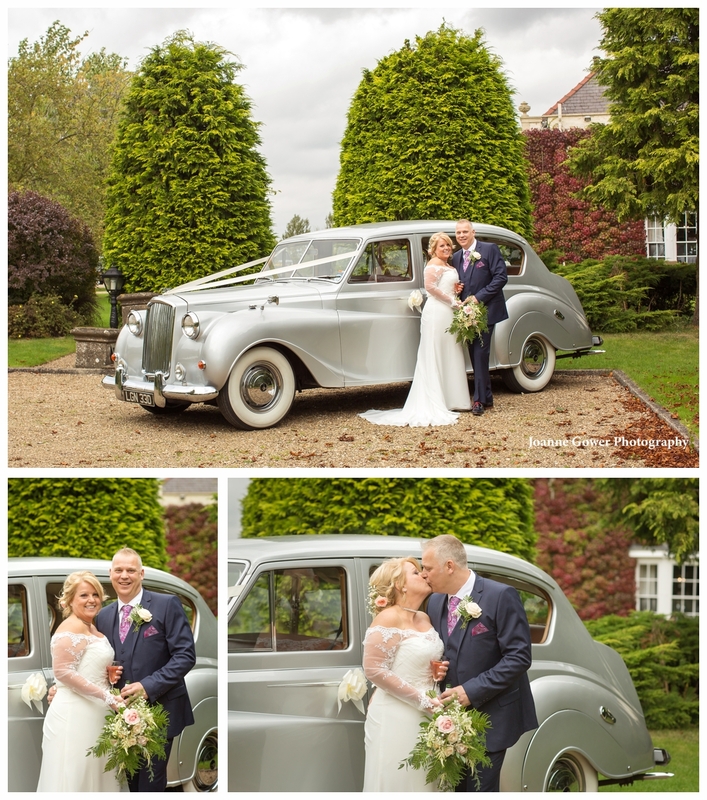 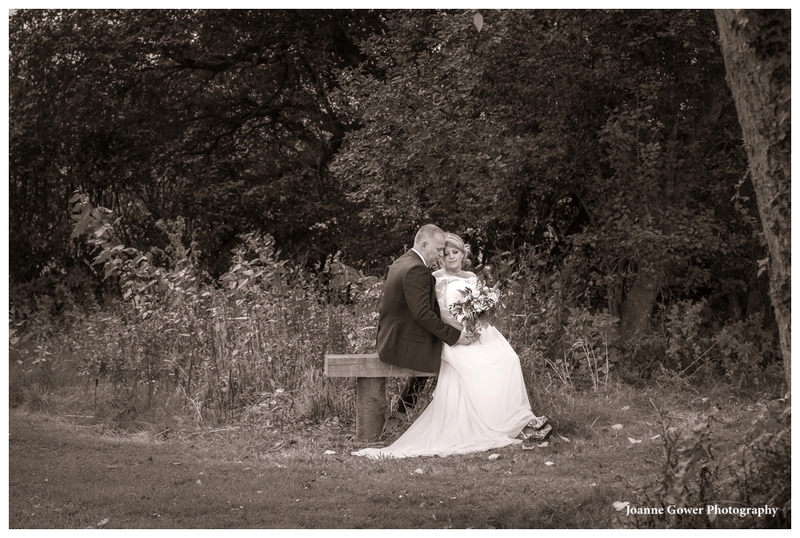 Joanne and Neil were really easy to work with and we are very much looking forward to photographing their special day! 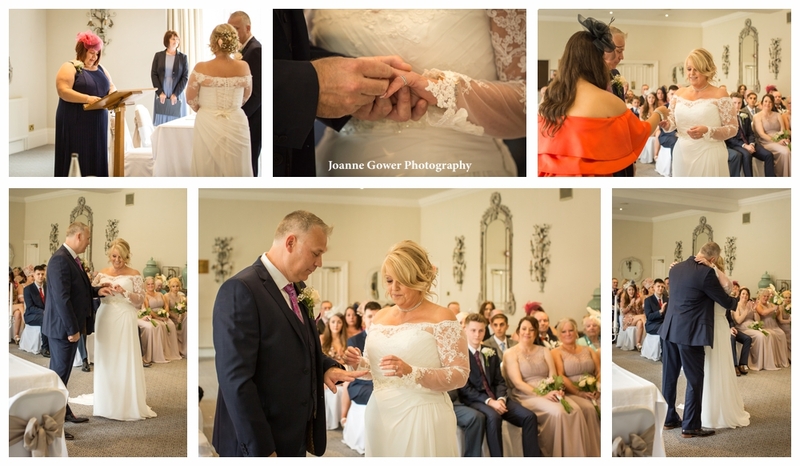 If you are getting married at Cave Castle Hotel, or anywhere in the Yorkshire region, and are looking for a wedding photographer, we would love to hear from you. 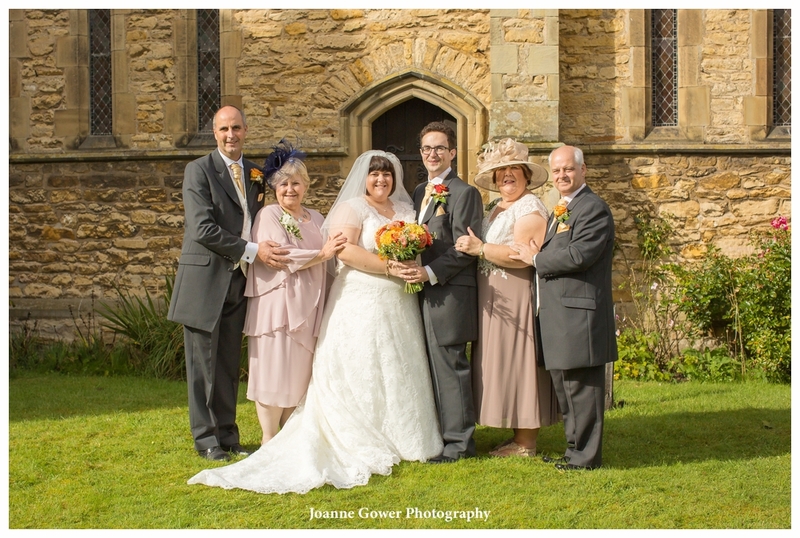 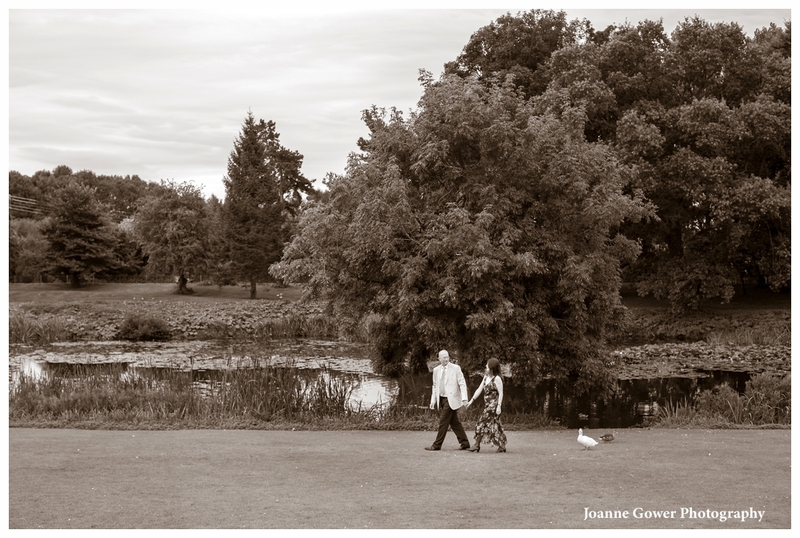 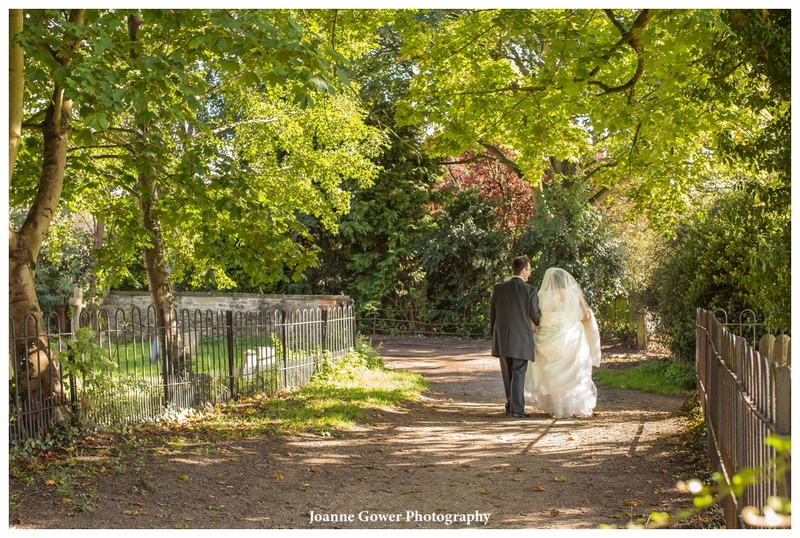 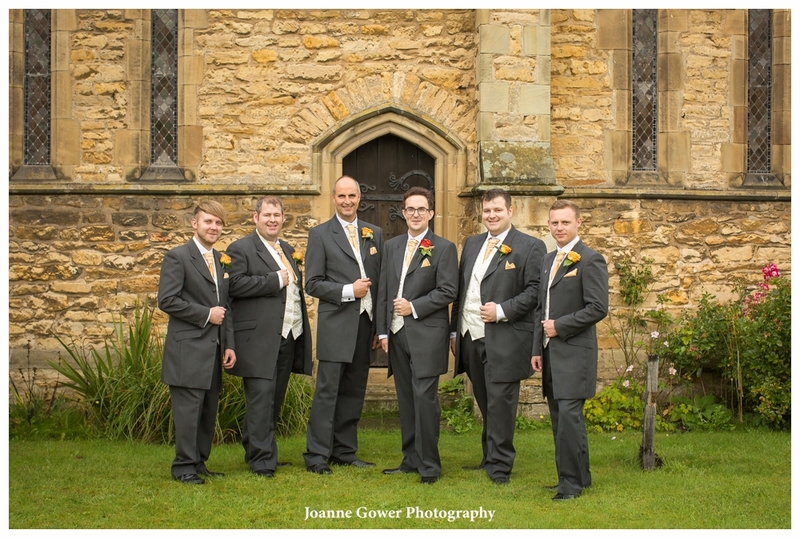 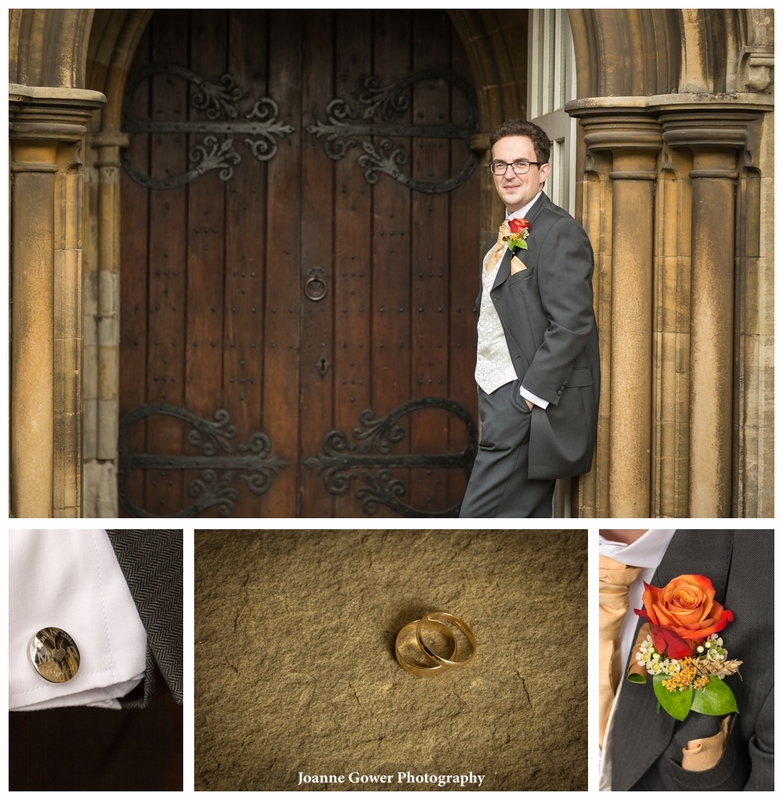 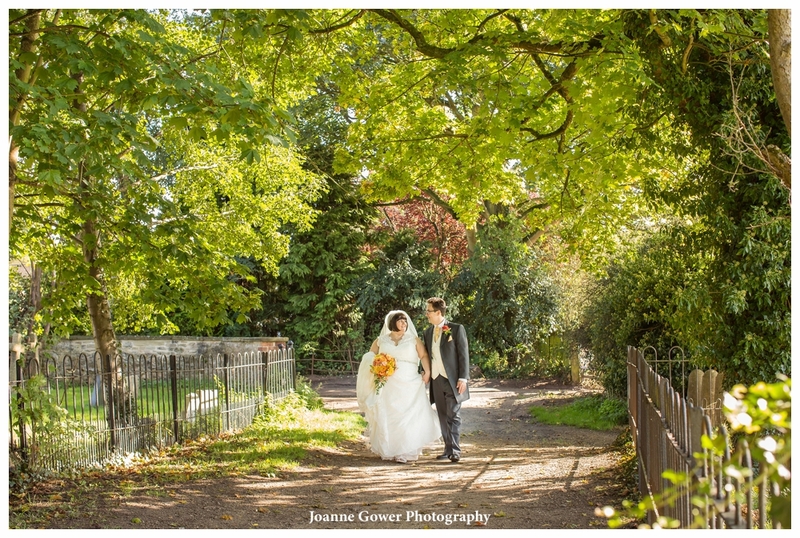 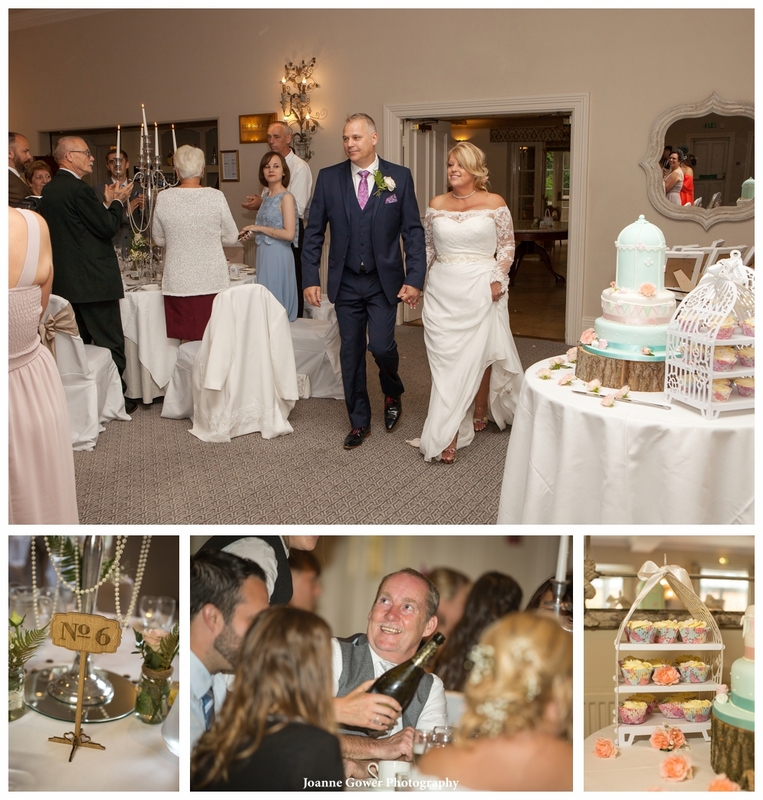 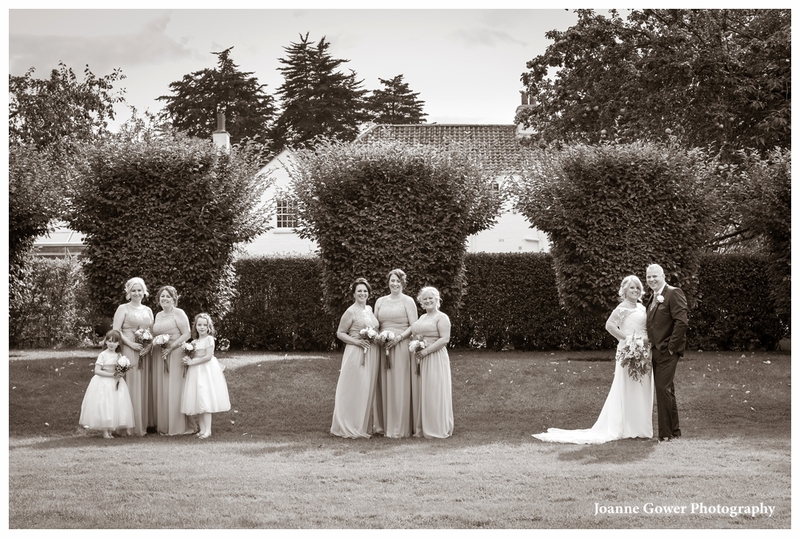 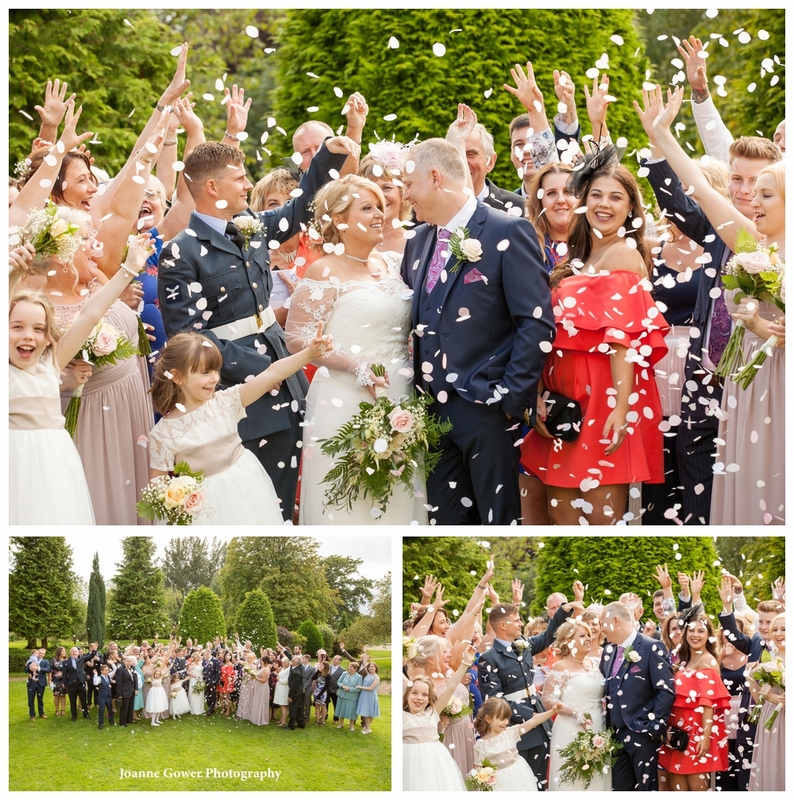 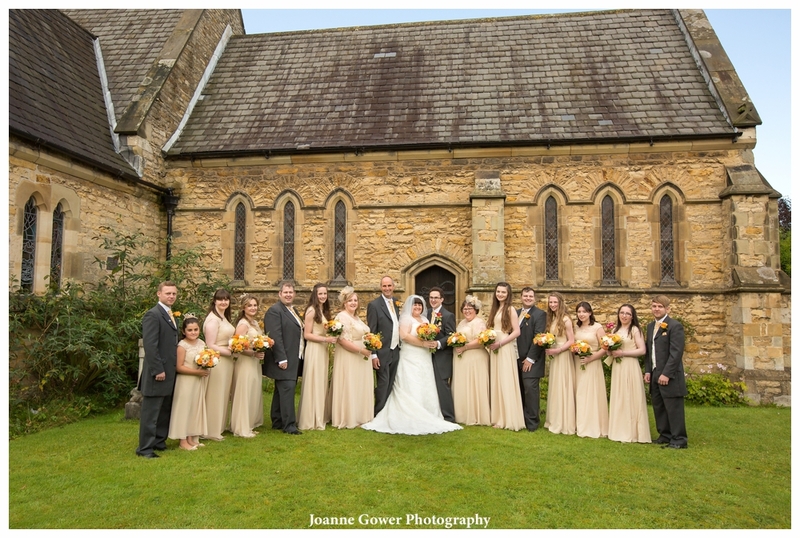 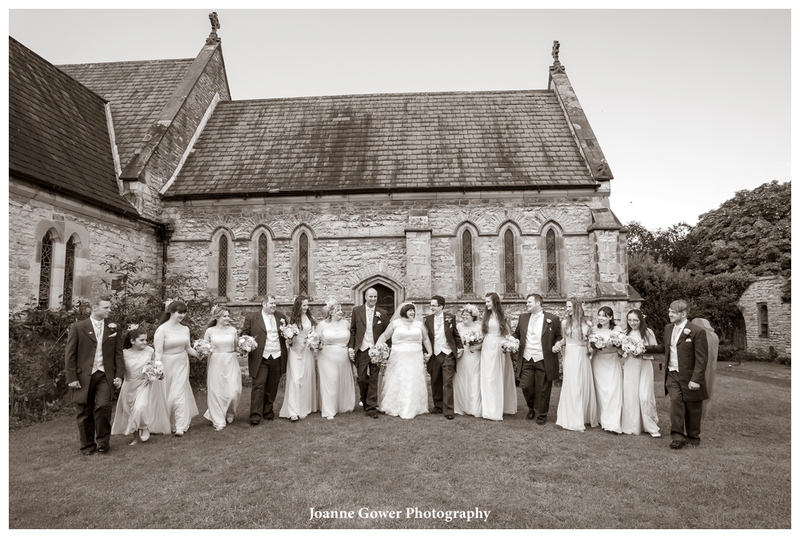 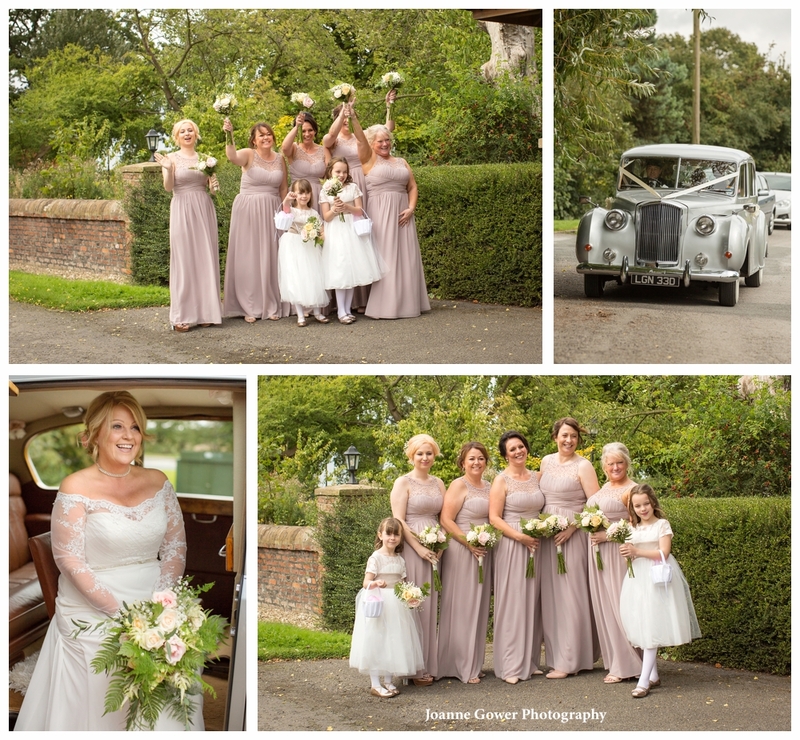 Email us at: info@joannegowerphotography.co.uk for further information about our wedding photography packages. 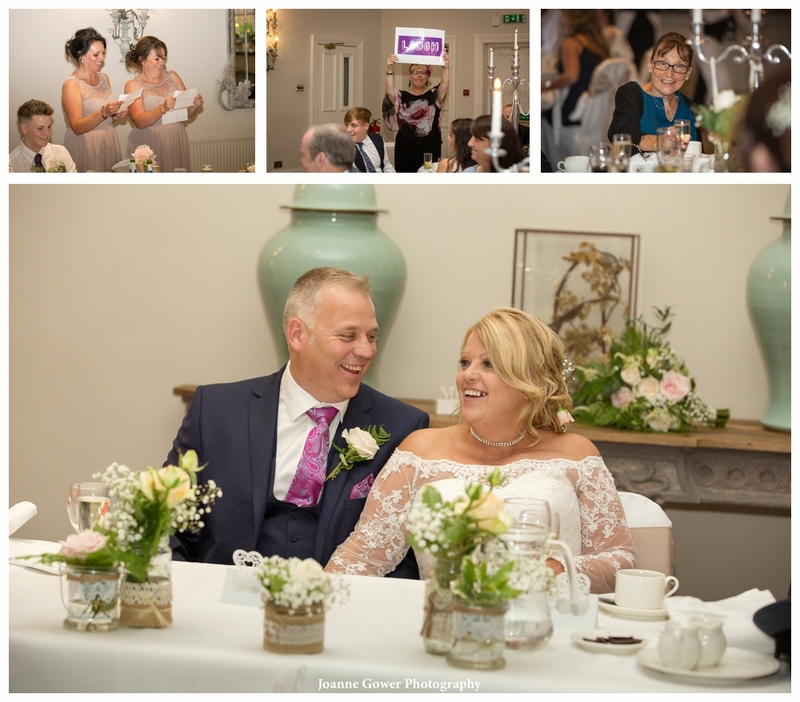 We still have a few dates left for 2018! 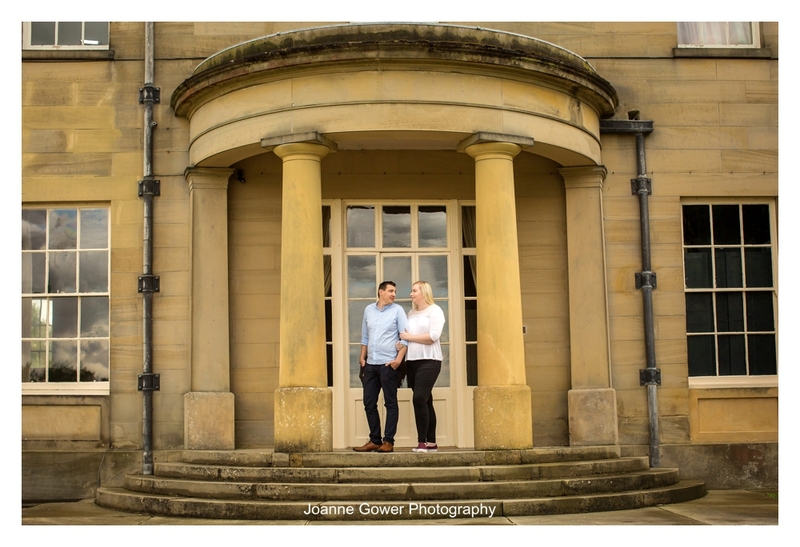 We had a lovely time with Jessica and Peter, doing their pre wedding photography shoot, at Saltmarshe Hall, yesterday. 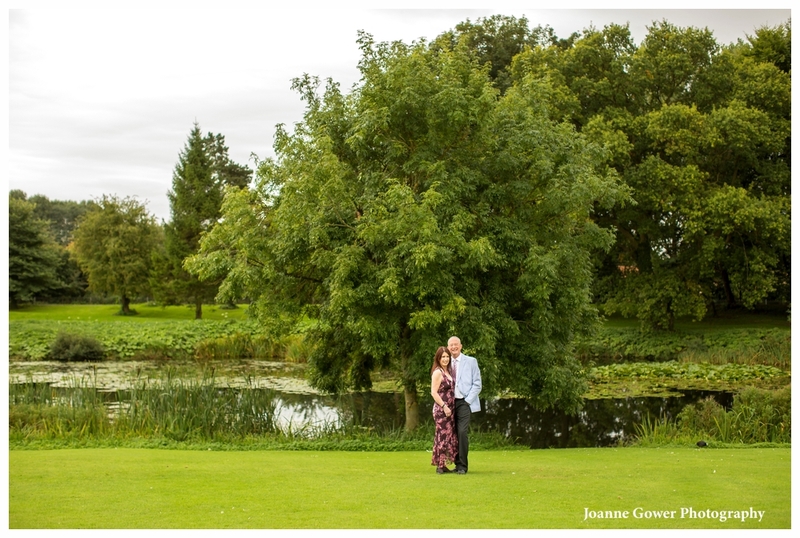 It was our first time at this lovely venue and we are very much looking forward to doing the wedding photography there. 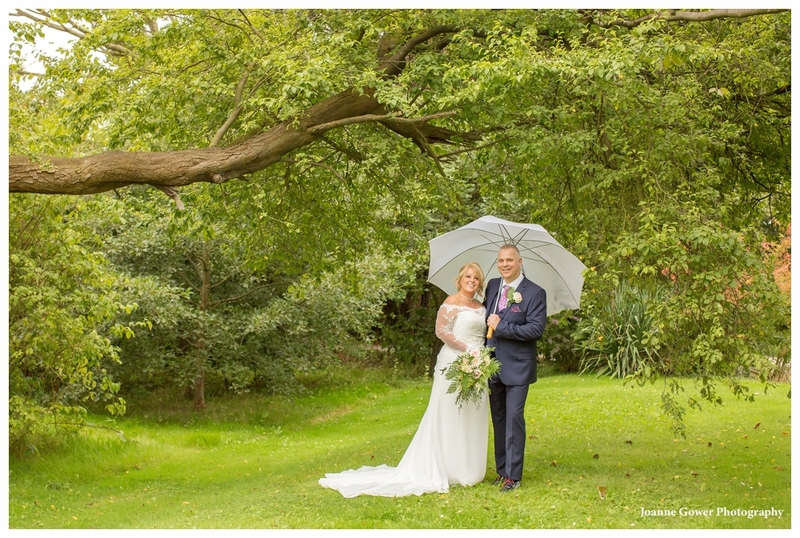 It was a rainy day but we were lucky in that the sun put in a brief appearance and the rain held off whilst we were doing the photography. 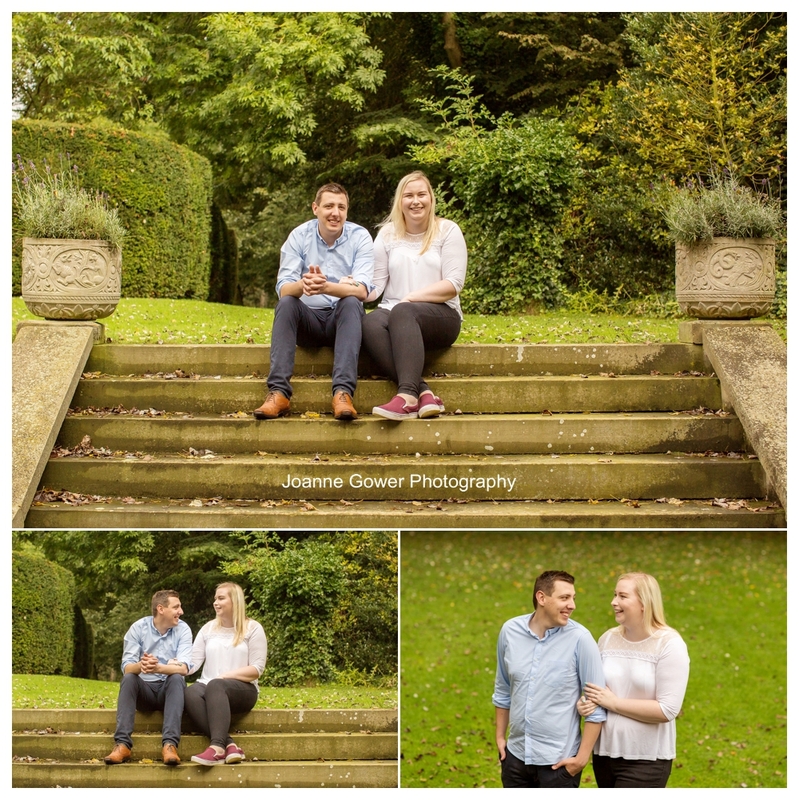 Jessica and Peter were happy and relaxed in front of the camera, so I am sure that we will have a great day with them when the time finally comes! 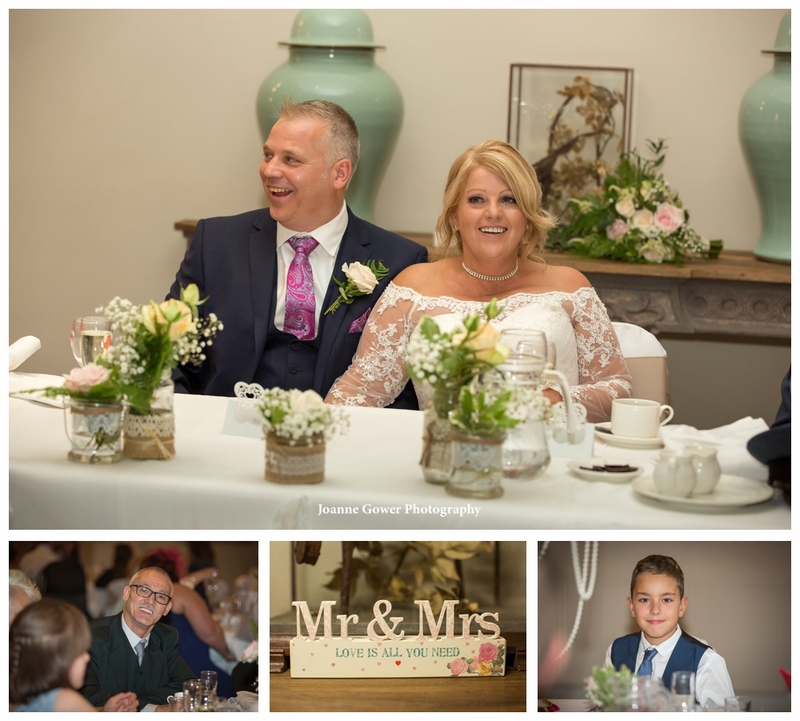 If you are getting married at Saltmarshe Hall, or in the Goole or Howden area, and are looking for a wedding photographer, we would really love to hear from you! 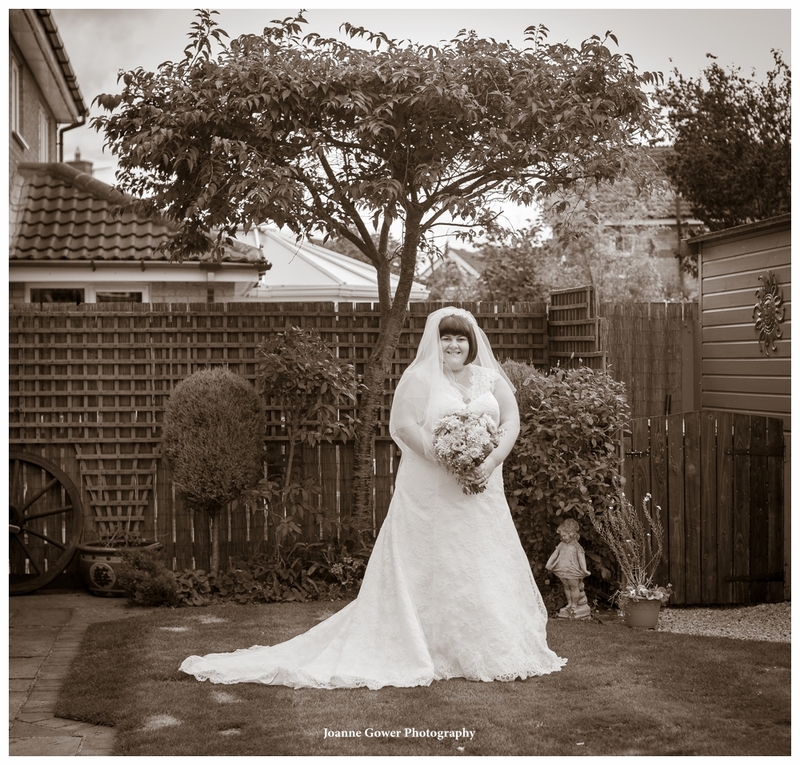 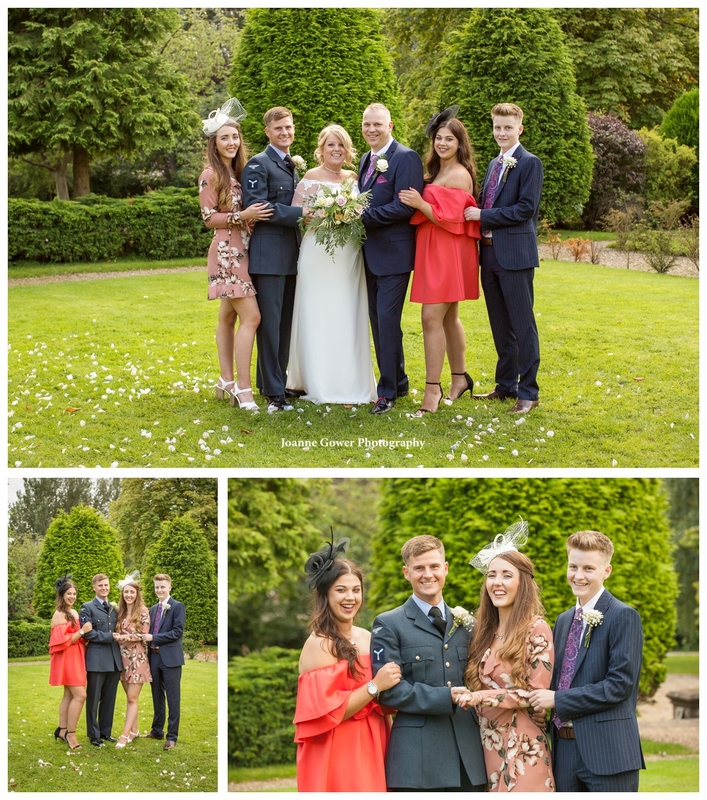 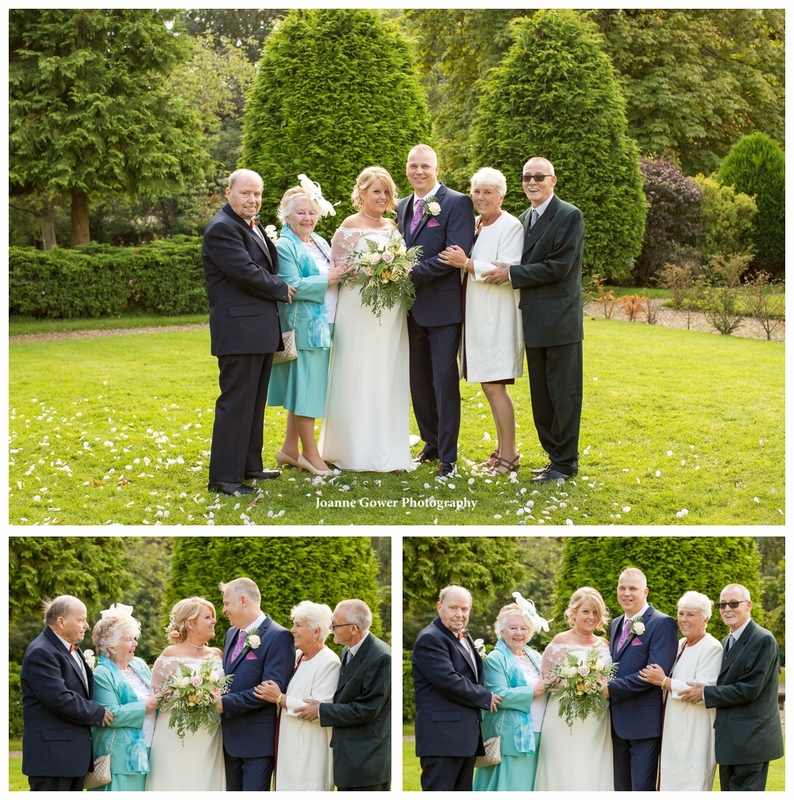 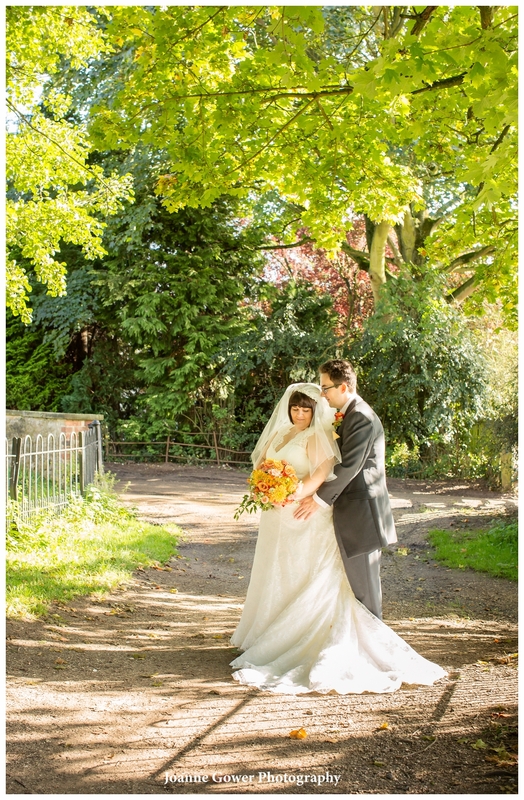 Give us a call on 01482 629430 for further information on our wedding photography packages.